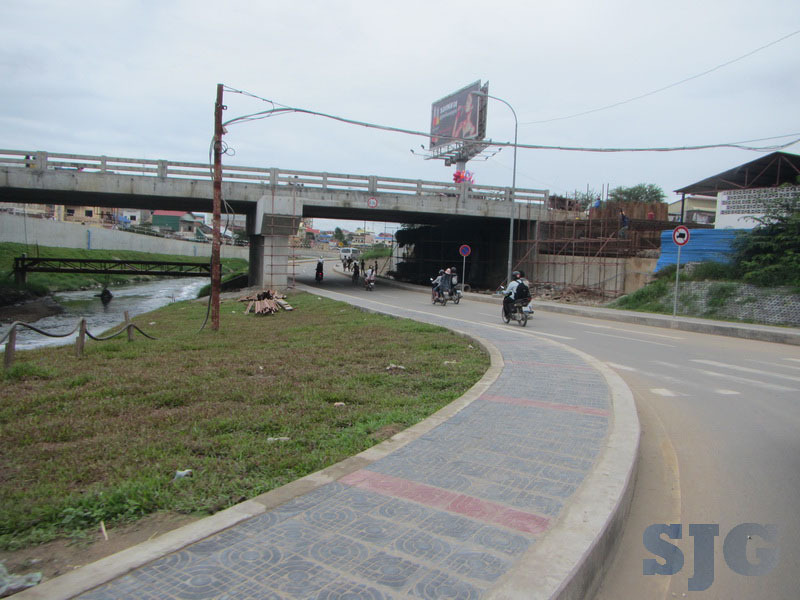 Finished ramp approaching the intersection from the north on Monireth Blvd. 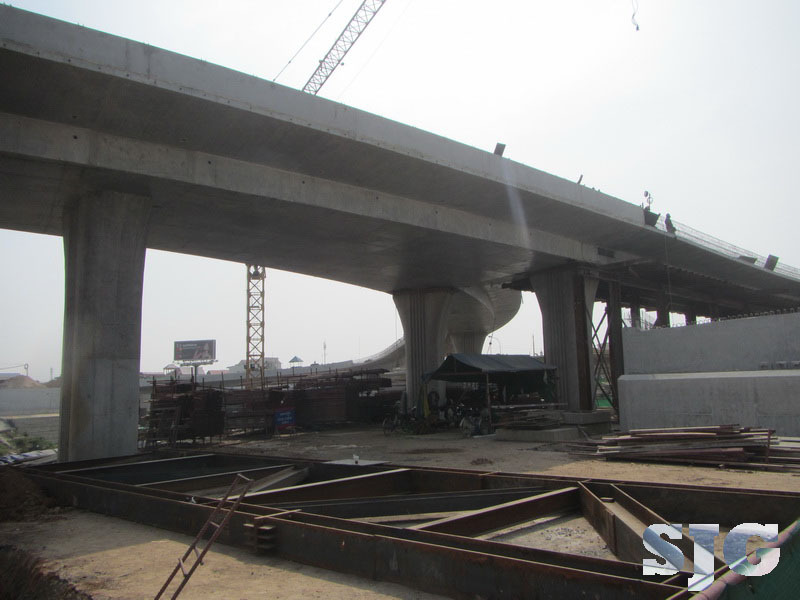 View of 271 south ramp from north on Monireth. 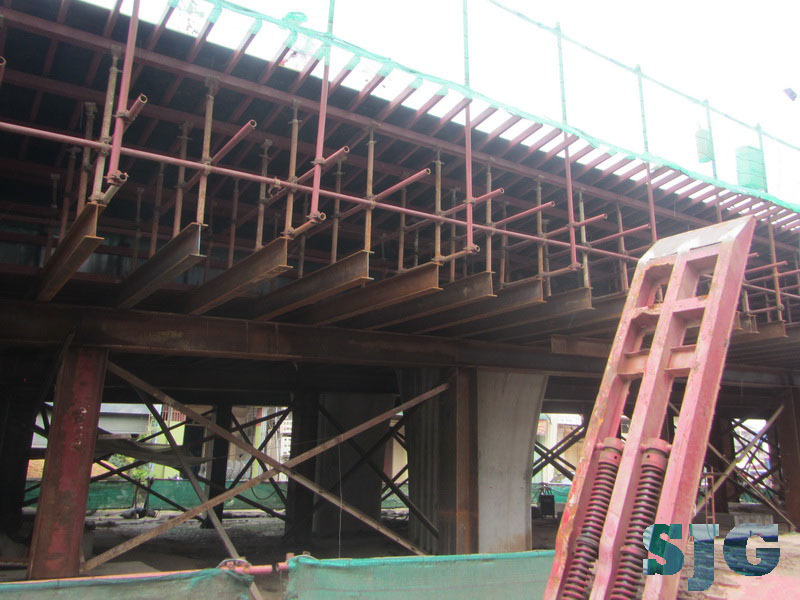 Driving south under 271 flyover and Monireth blvd. 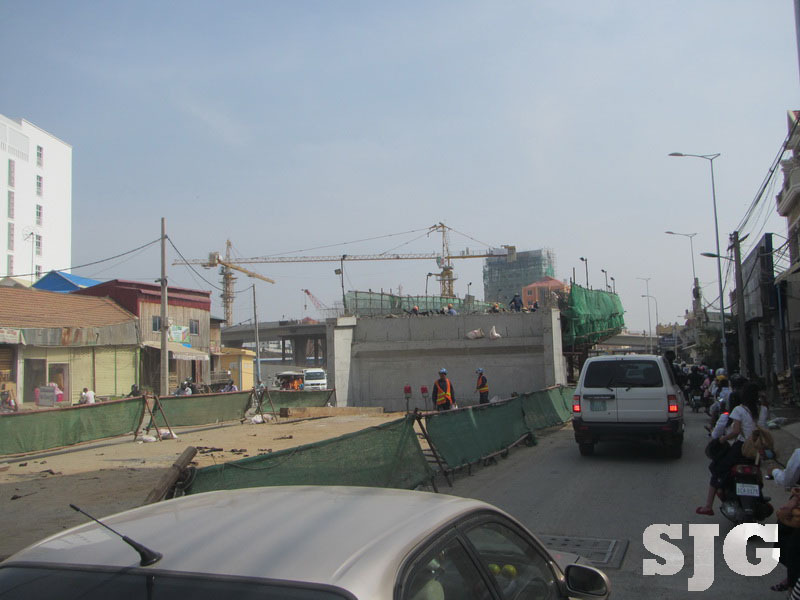 PP’s third overpass is always a buzz of excitement (and traffic delays). 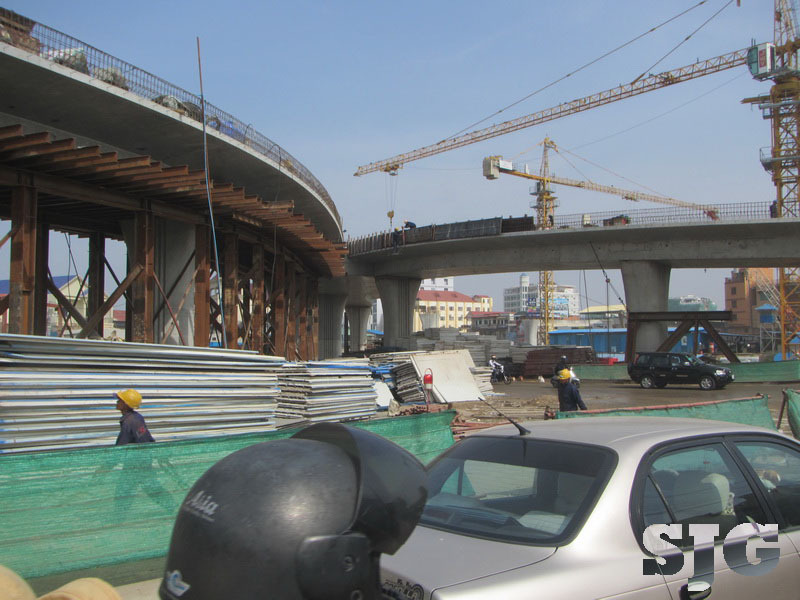 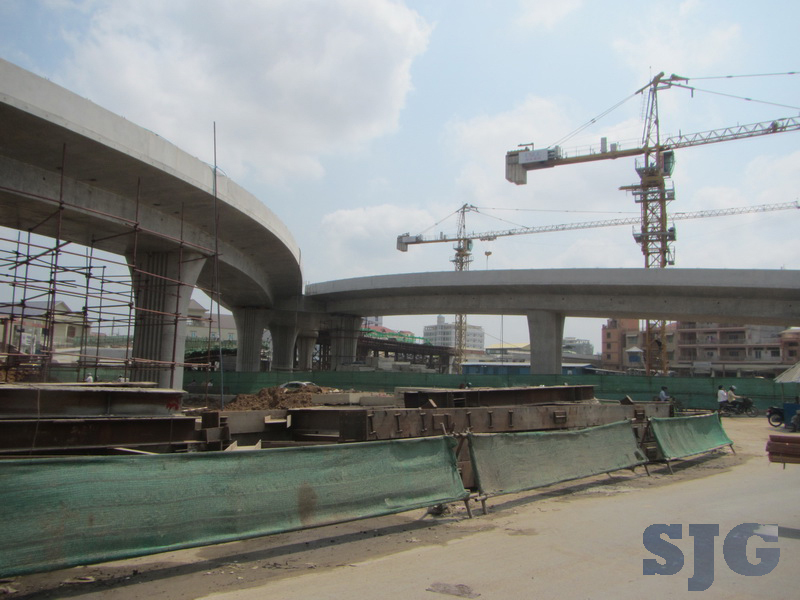 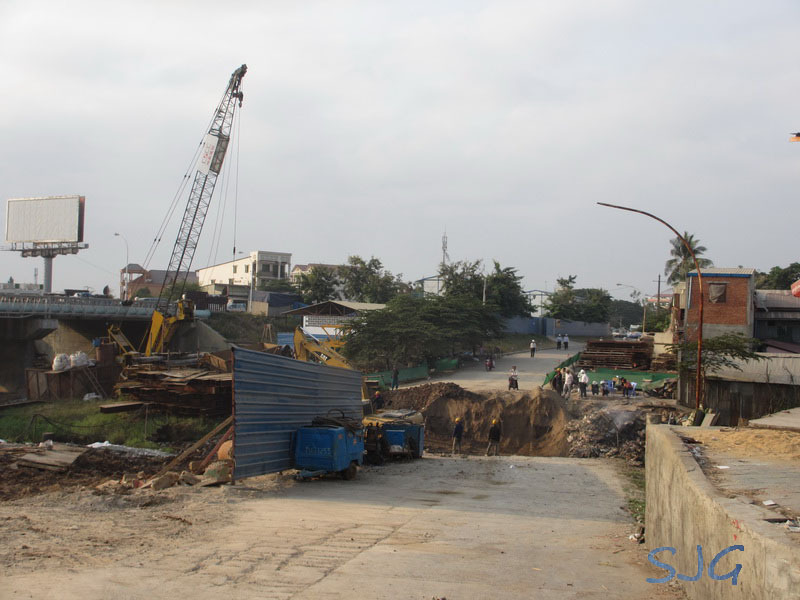 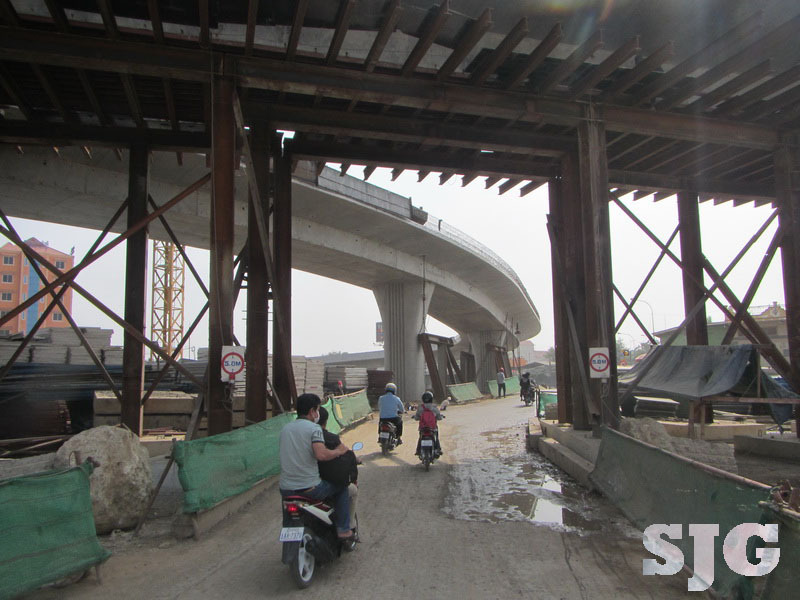 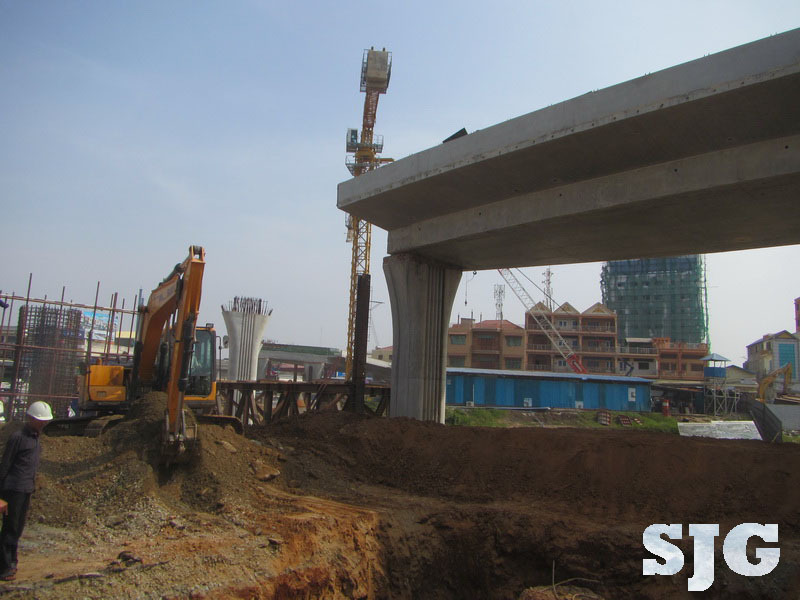 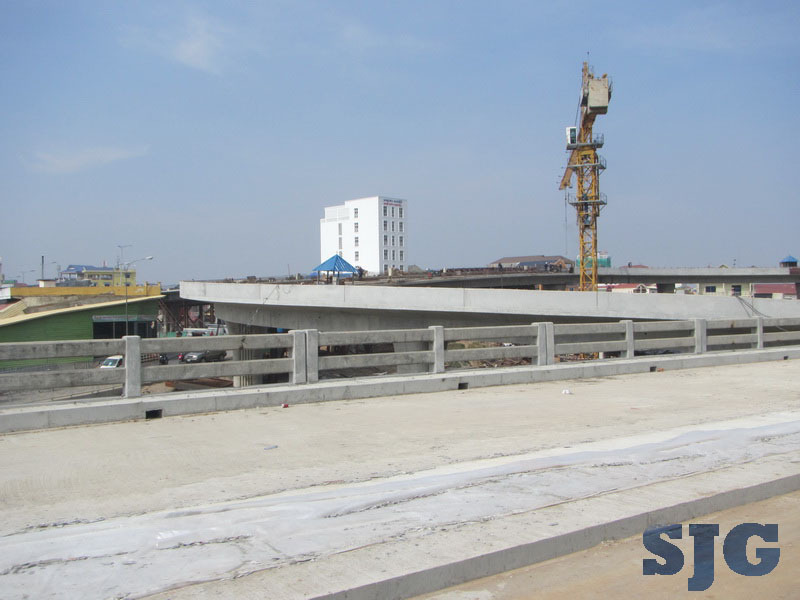 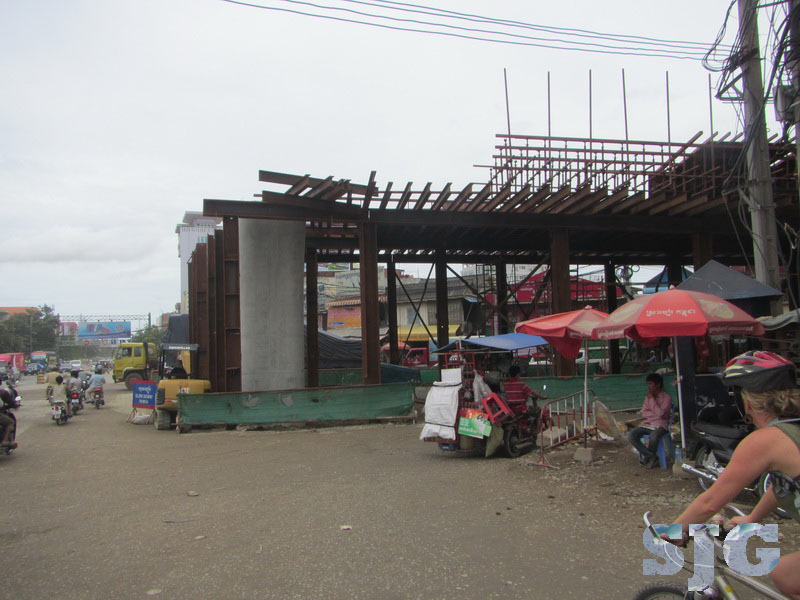 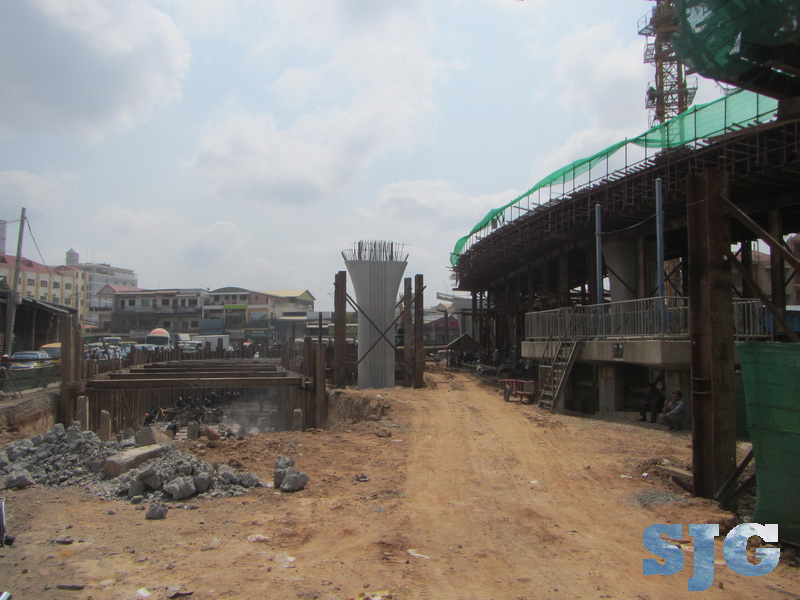 Lots is happening at the SMC overpass construction site. 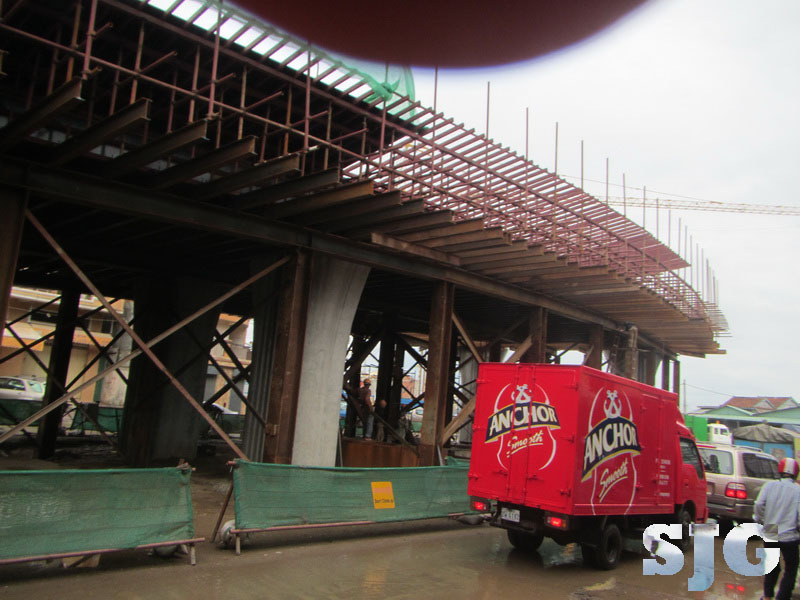 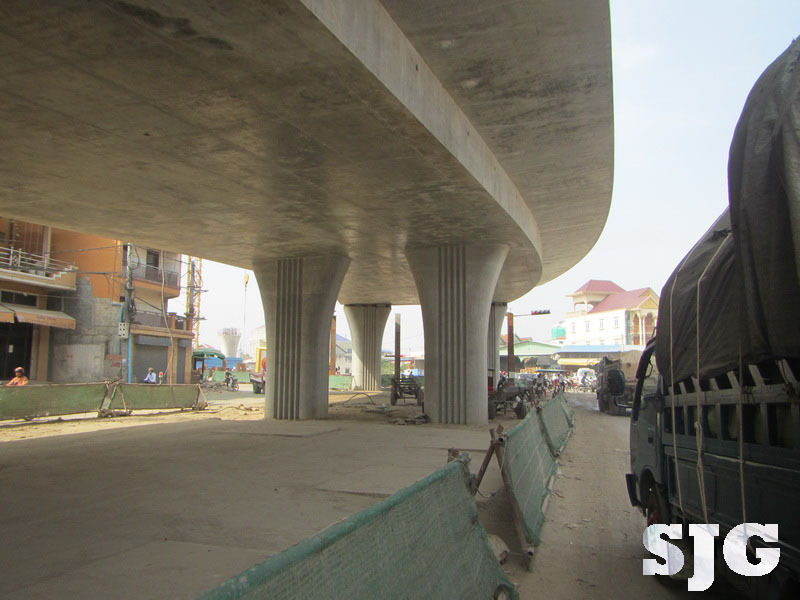 Traffic is now being routed under the bridge when approaching from the north. 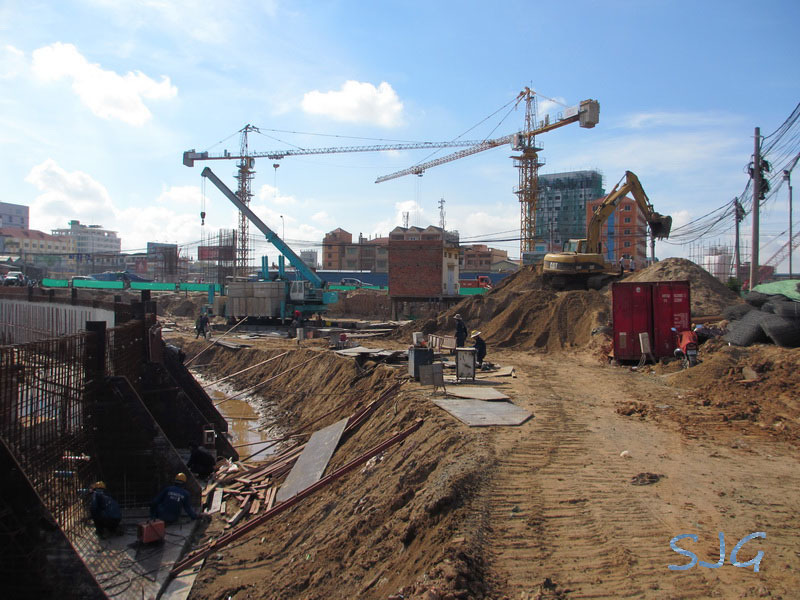 Things seem to be progressing fast. 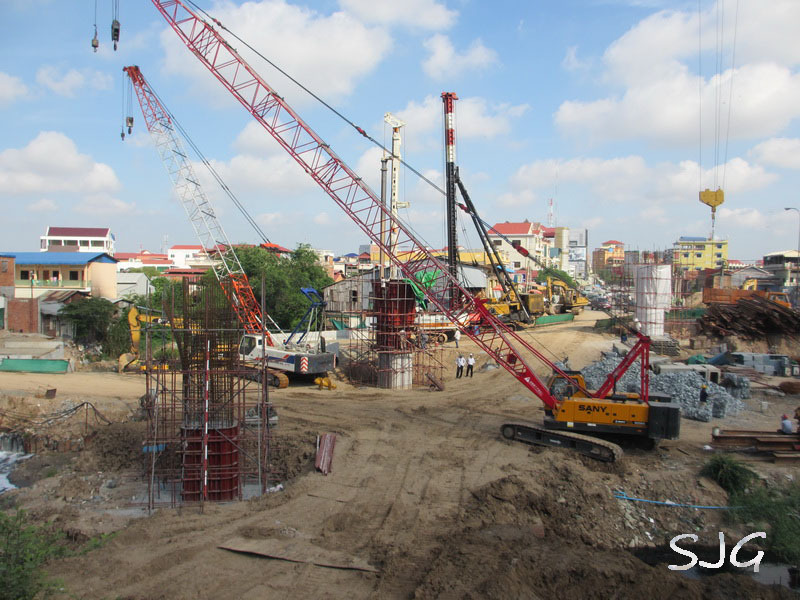 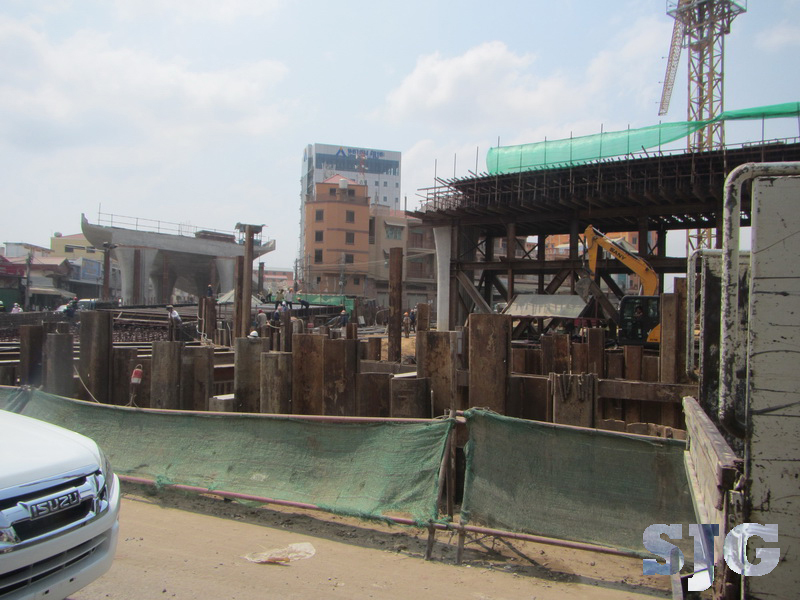 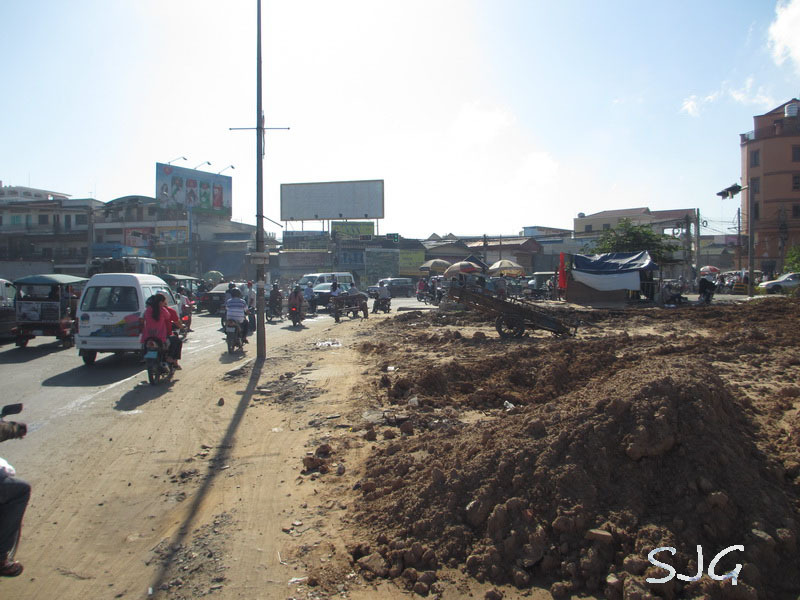 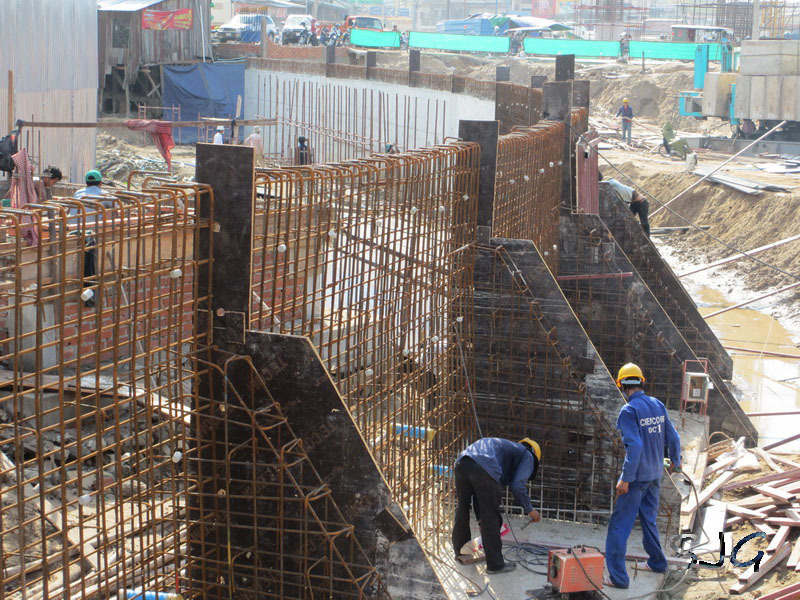 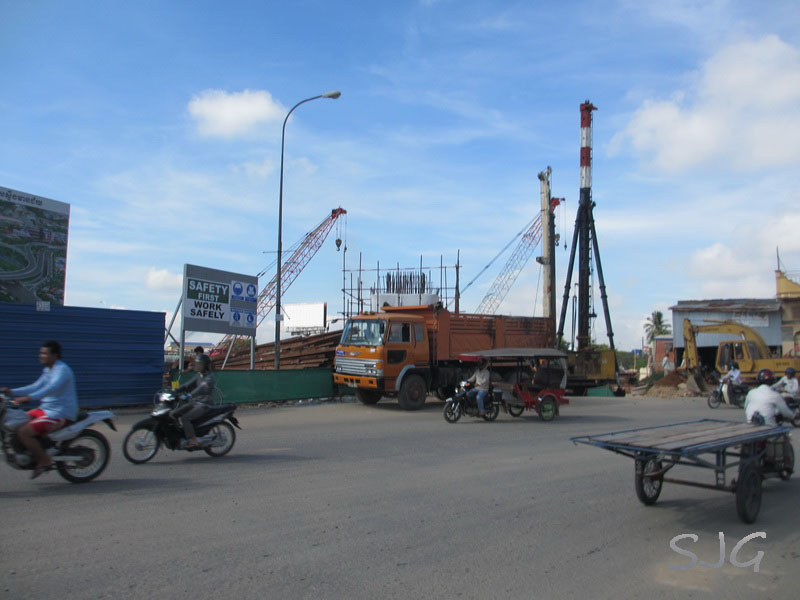 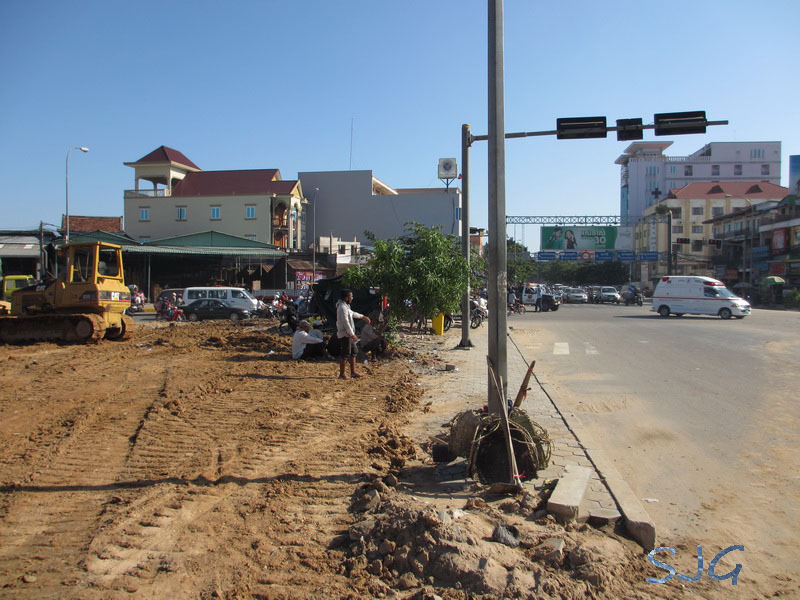 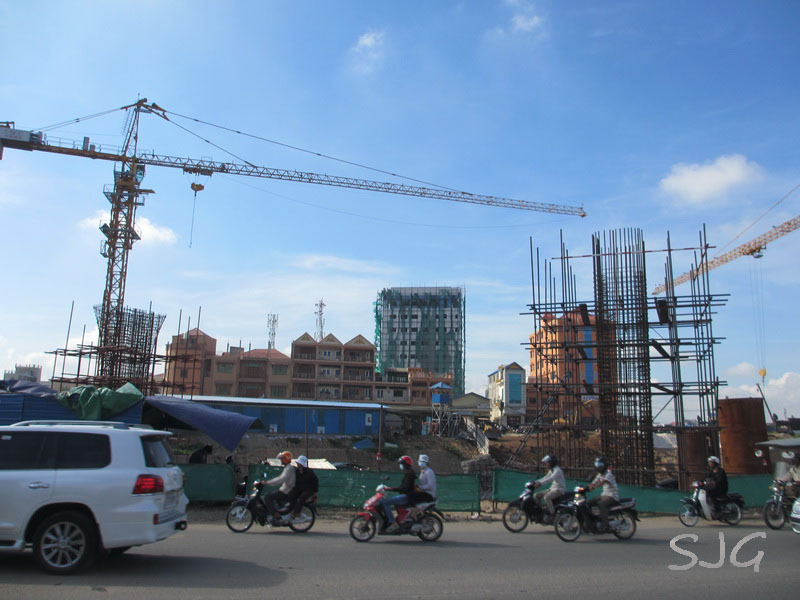 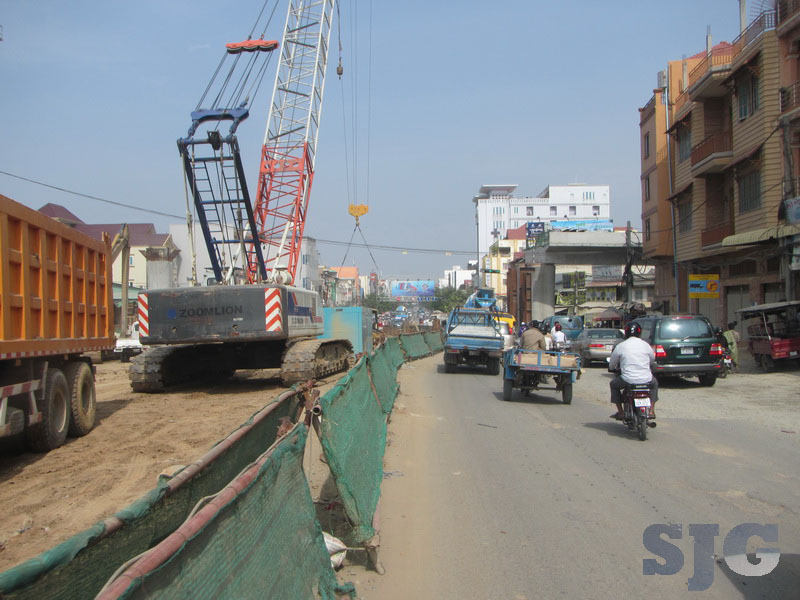 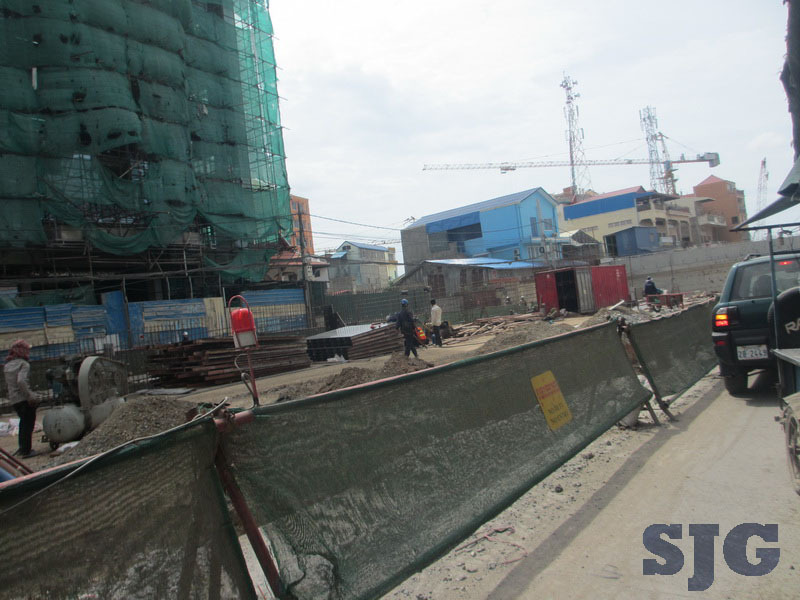 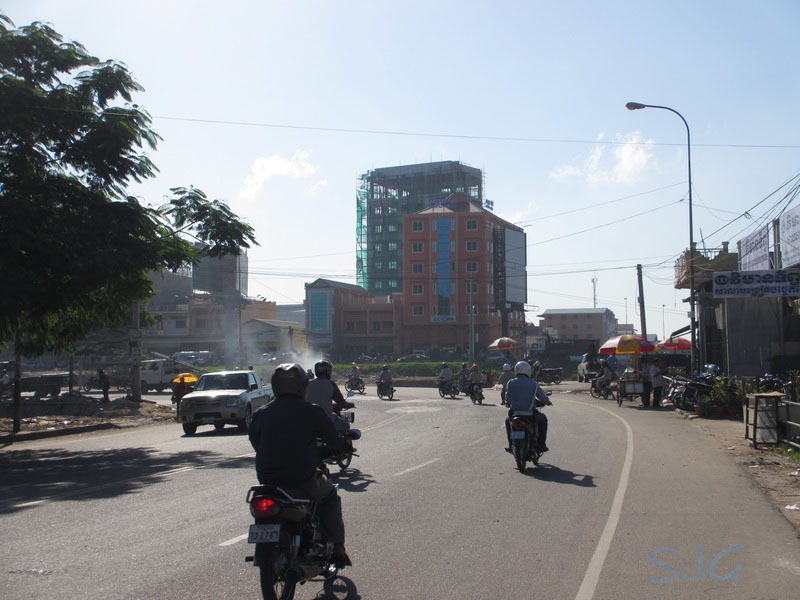 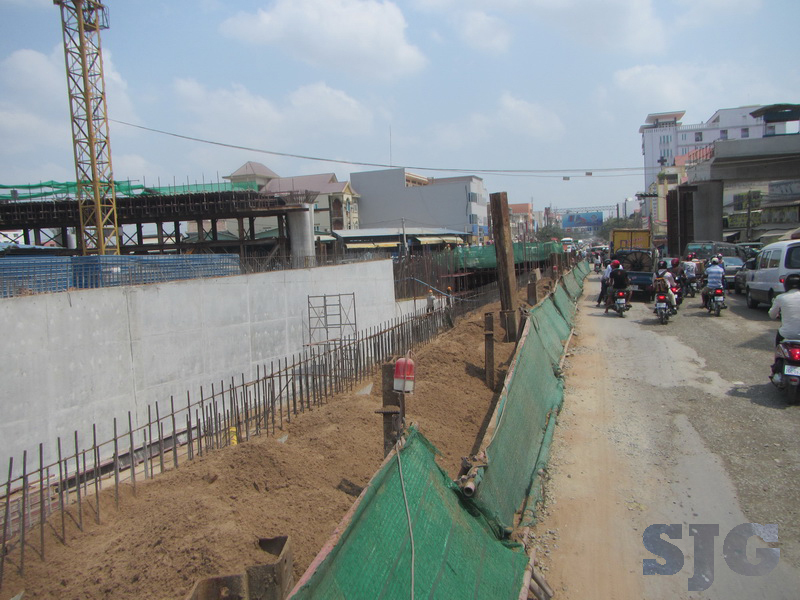 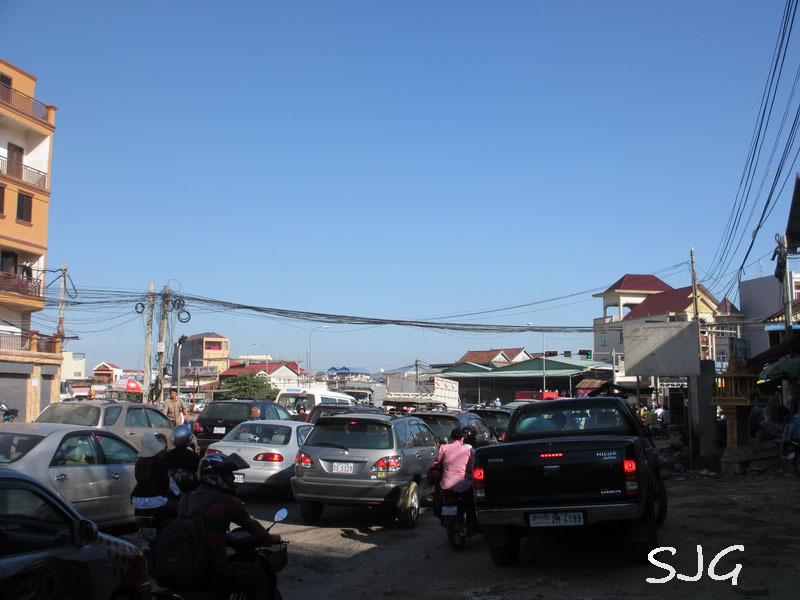 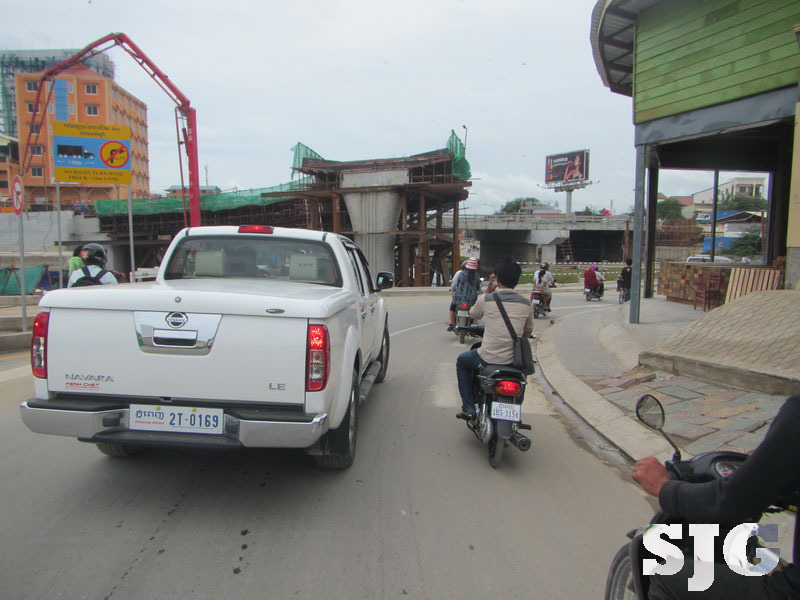 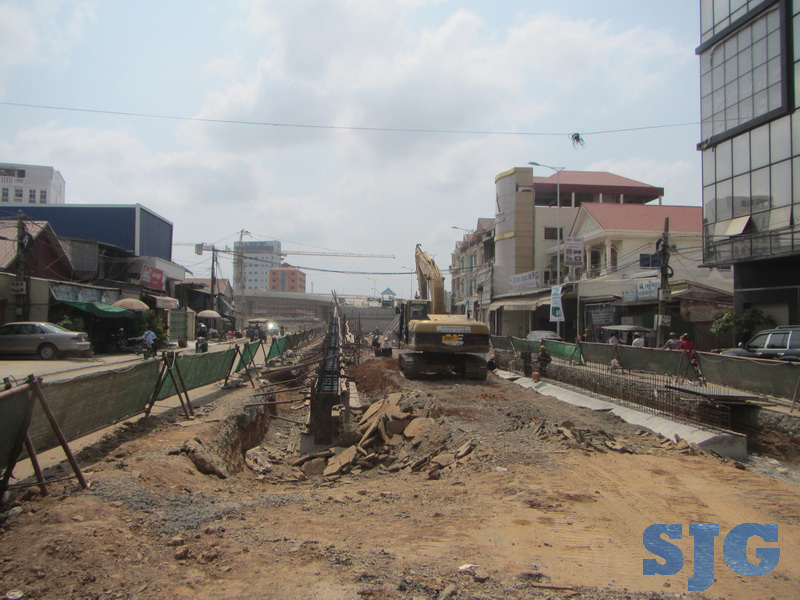 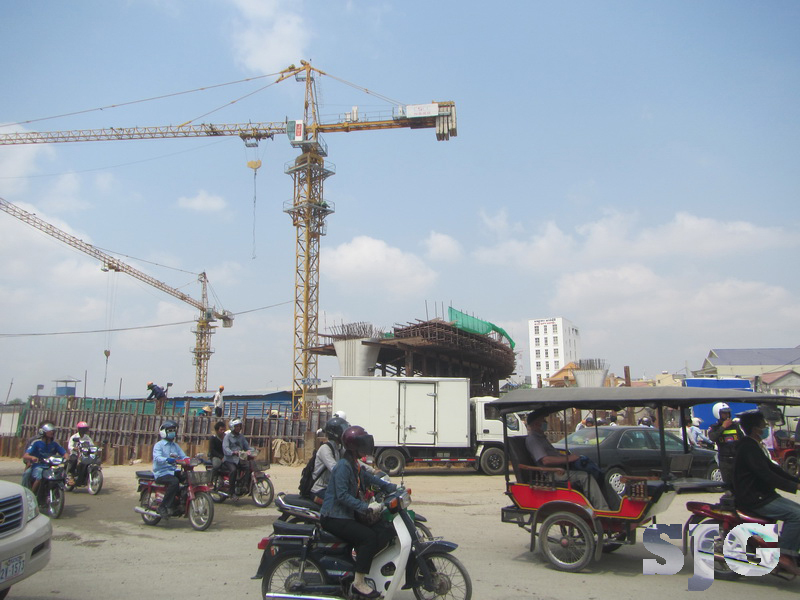 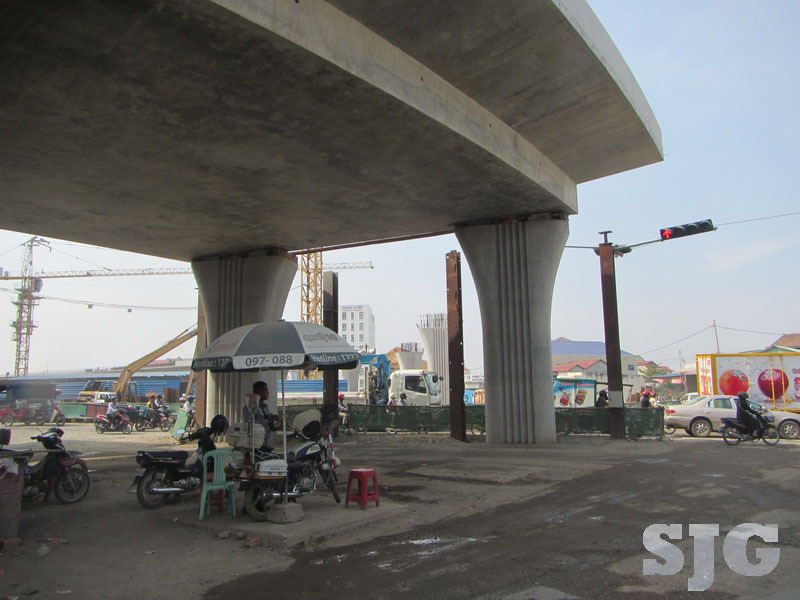 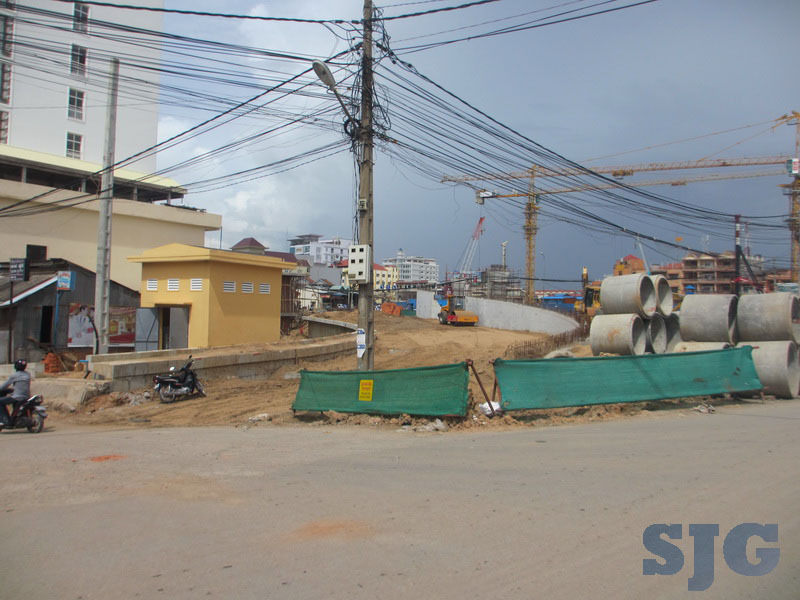 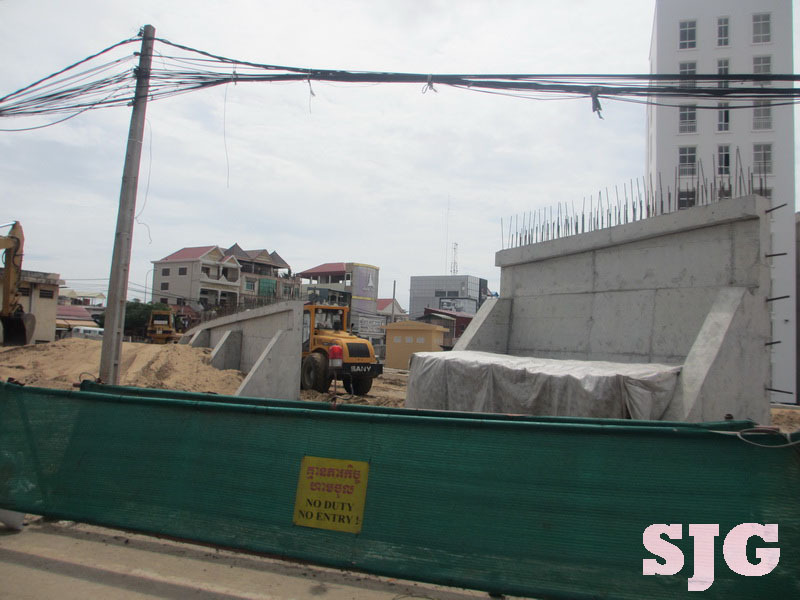 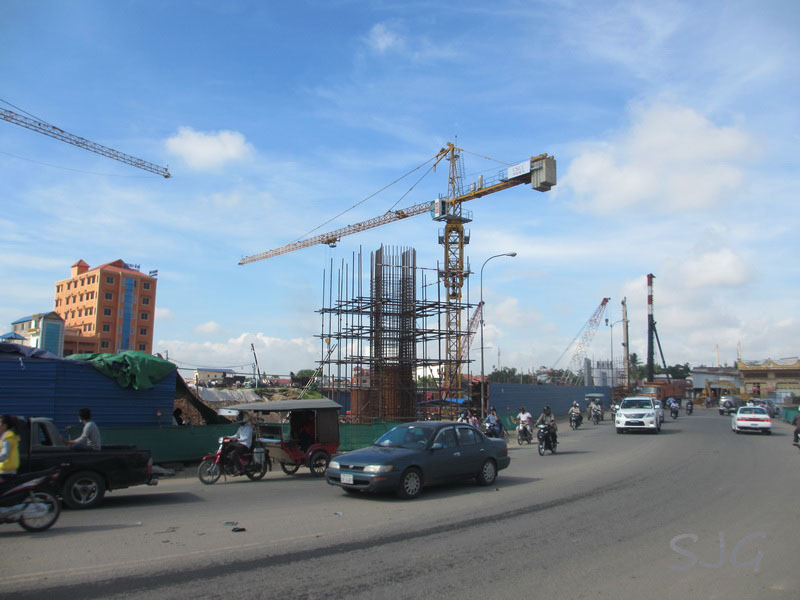 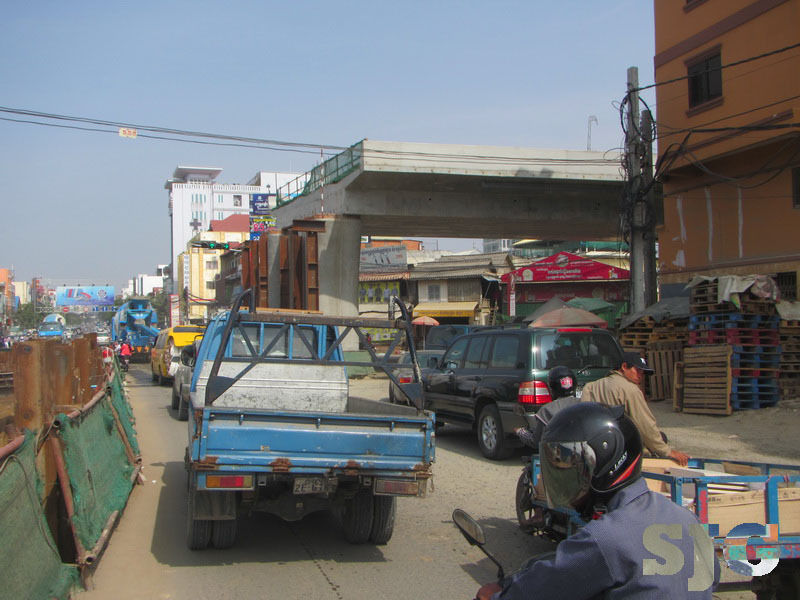 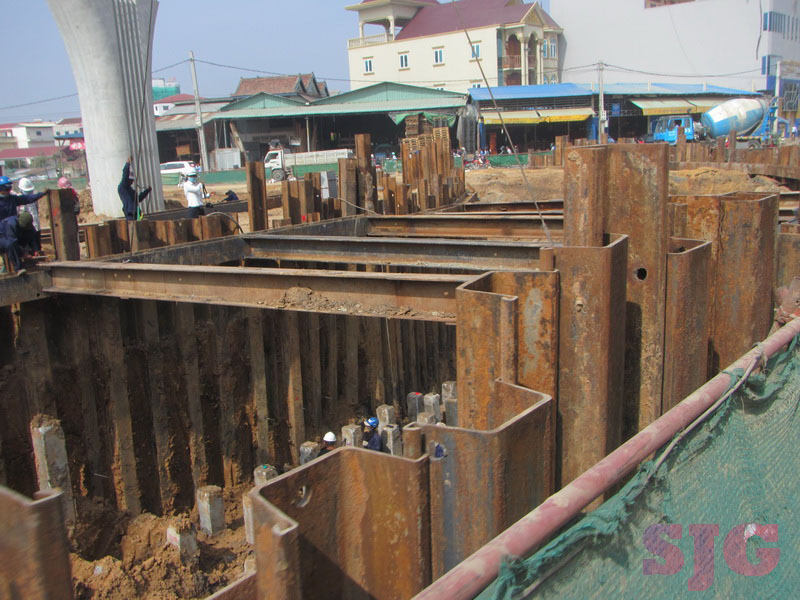 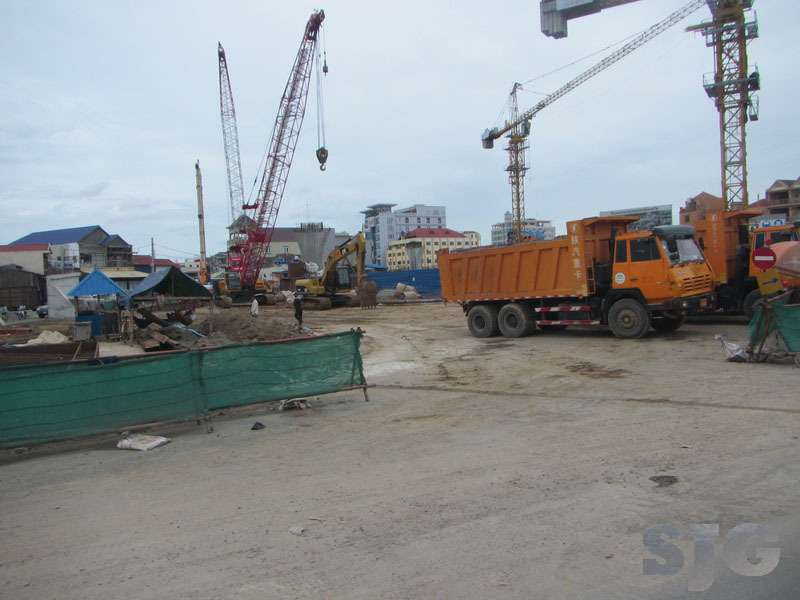 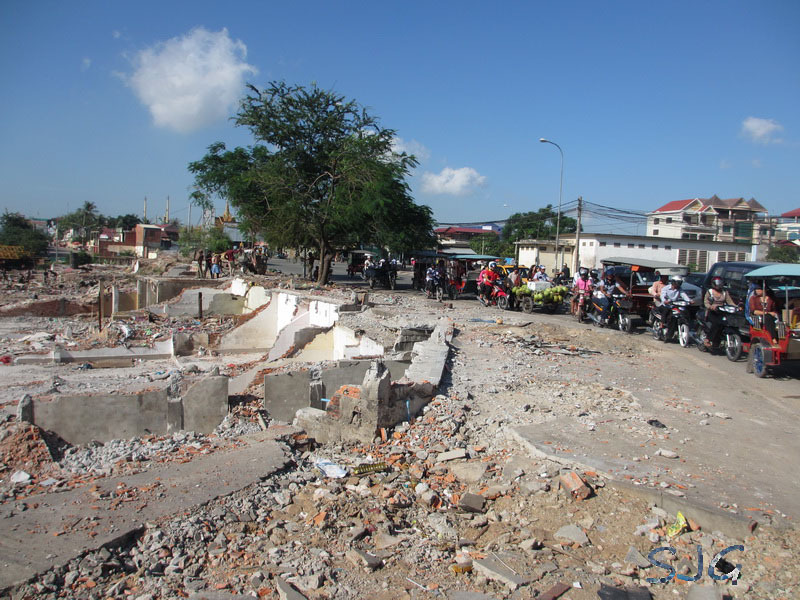 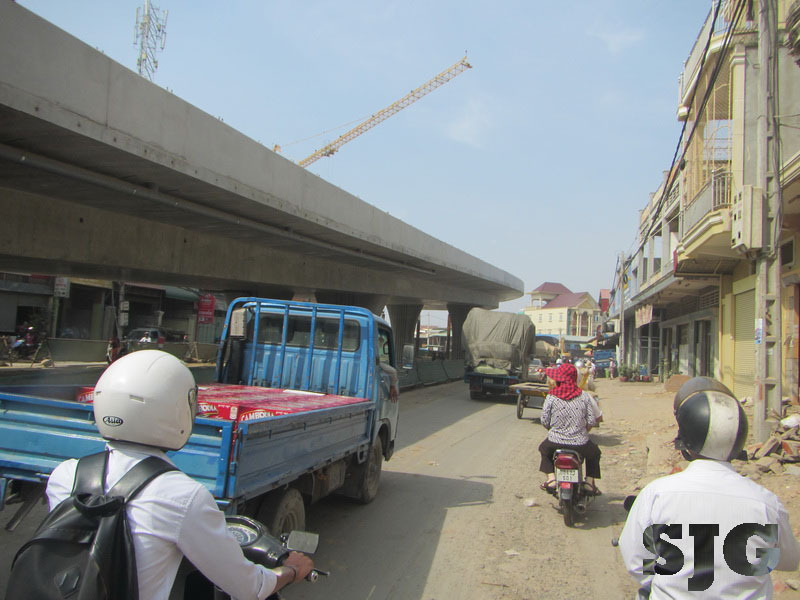 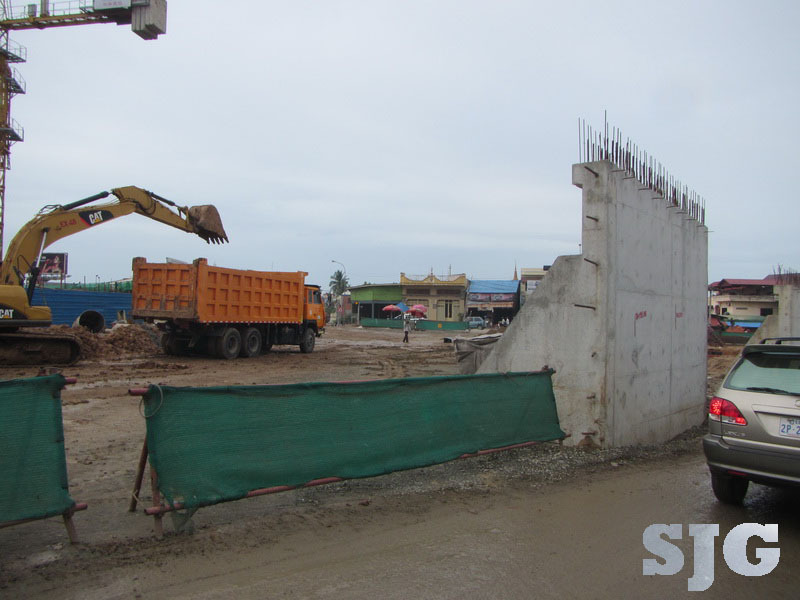 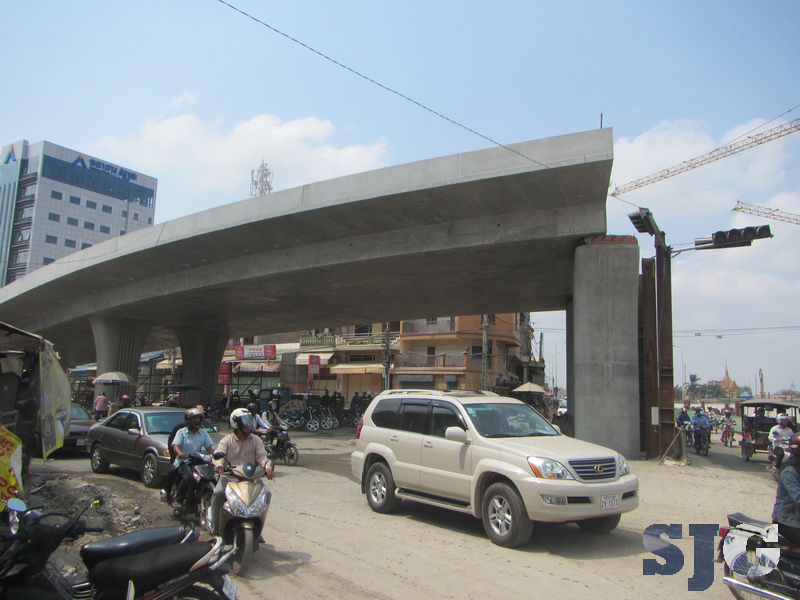 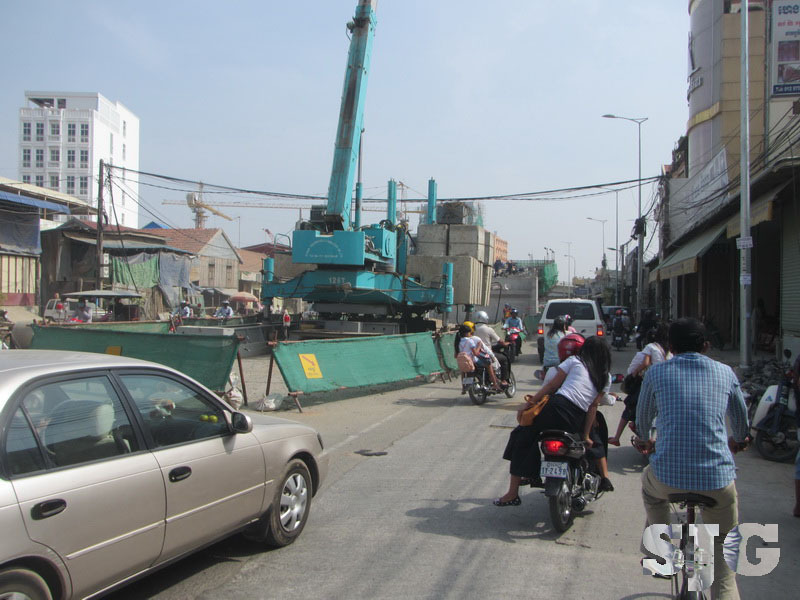 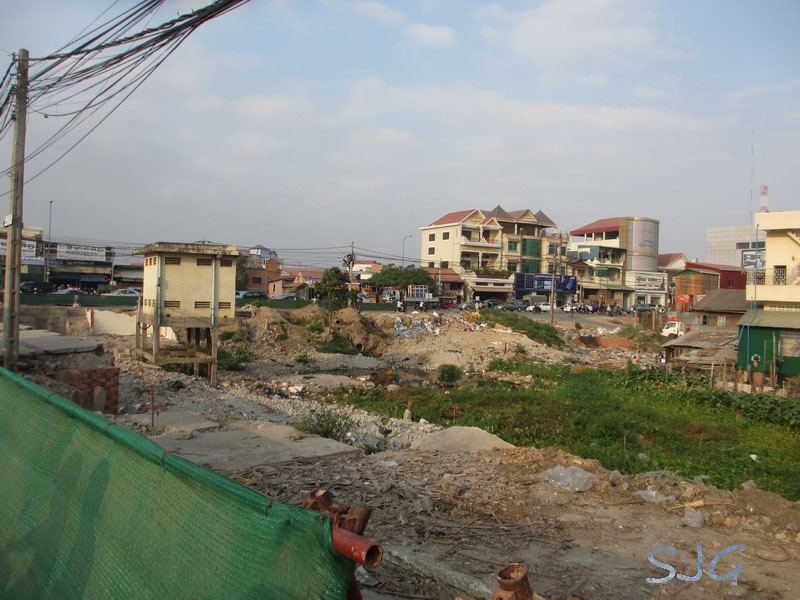 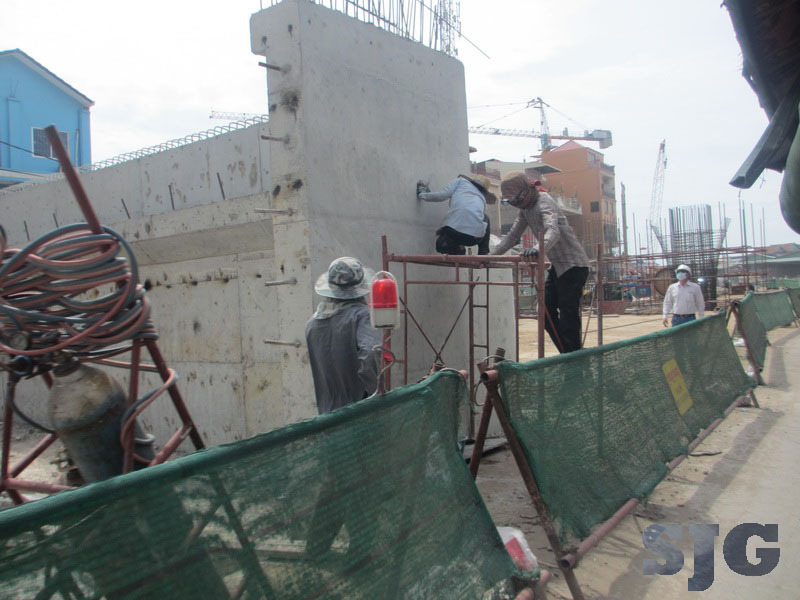 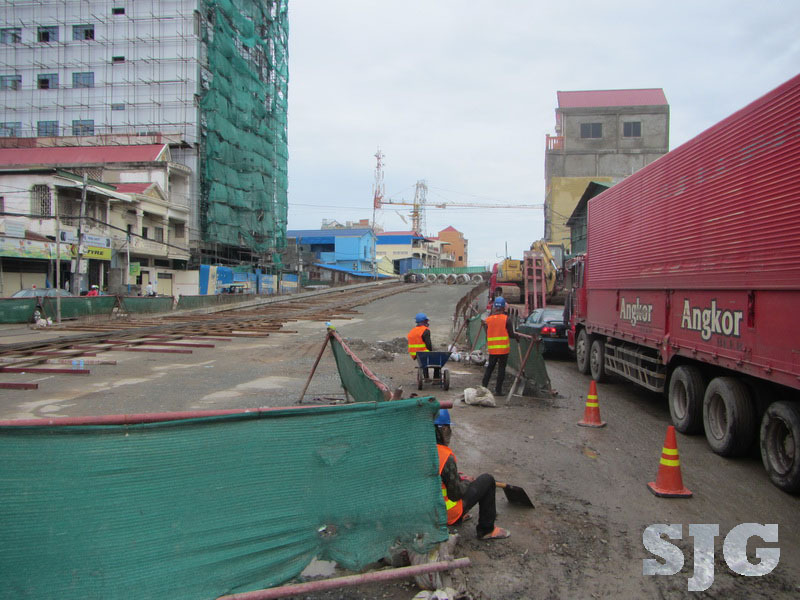 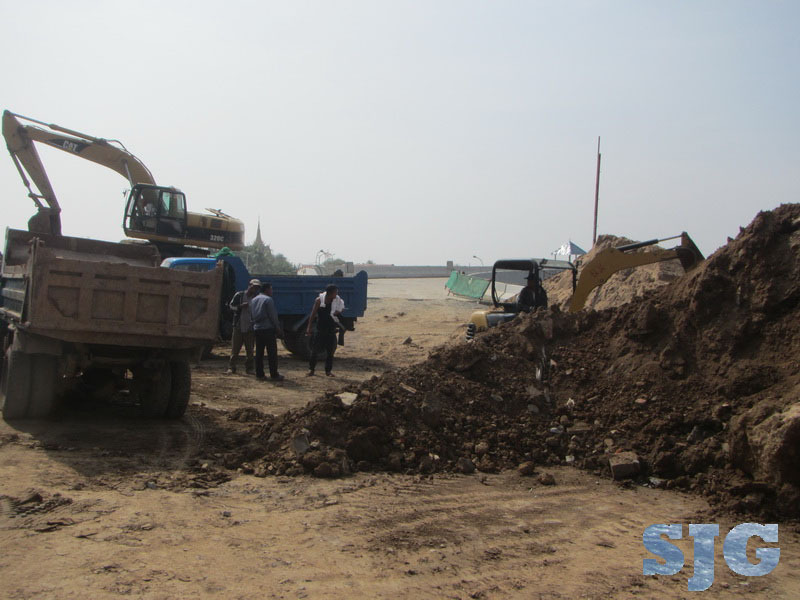 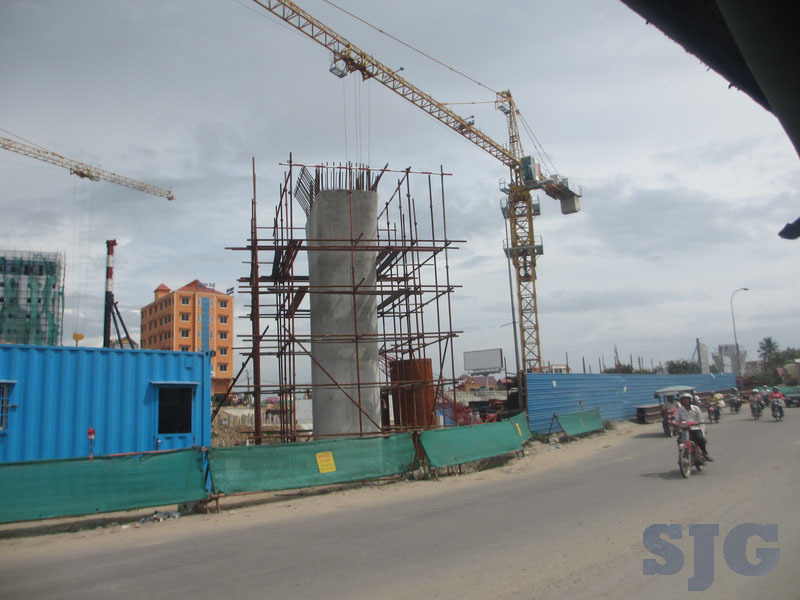 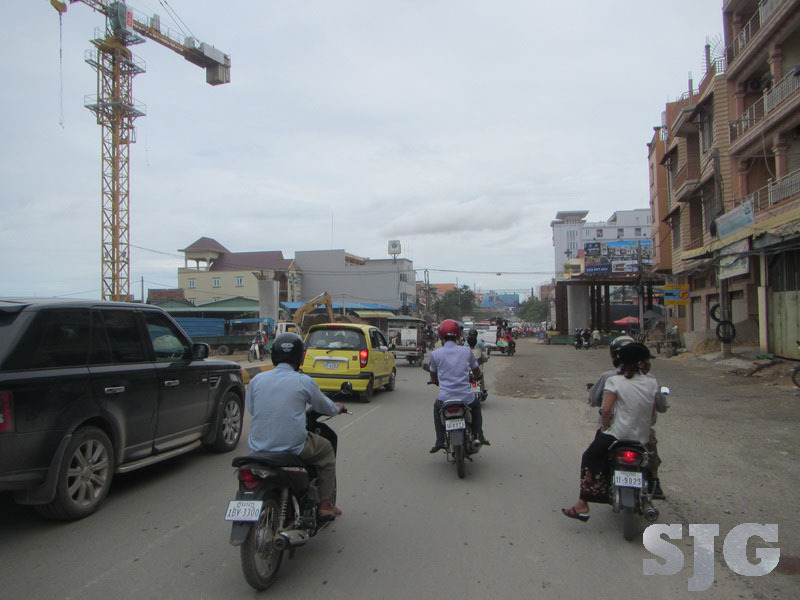 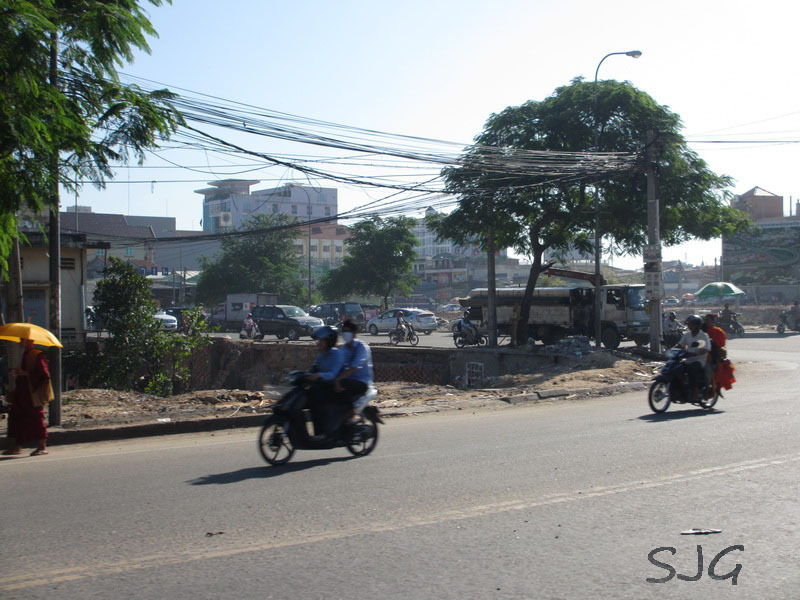 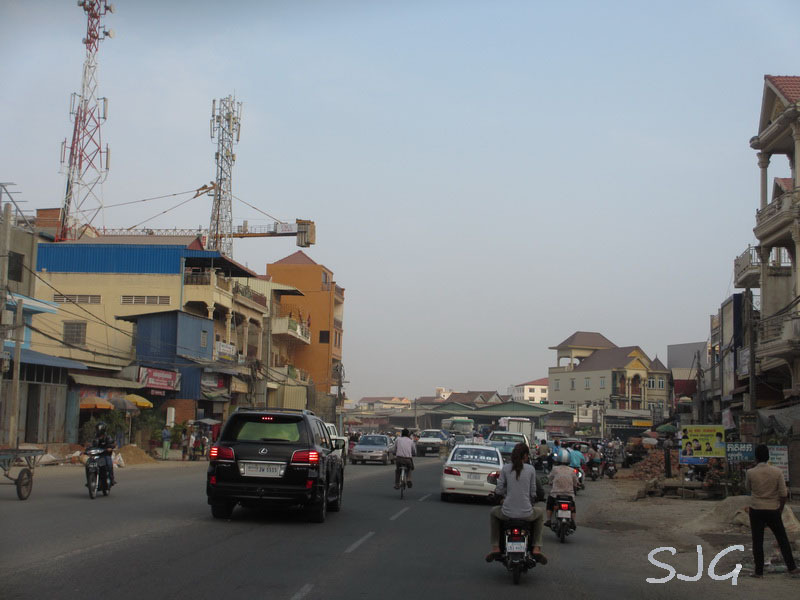 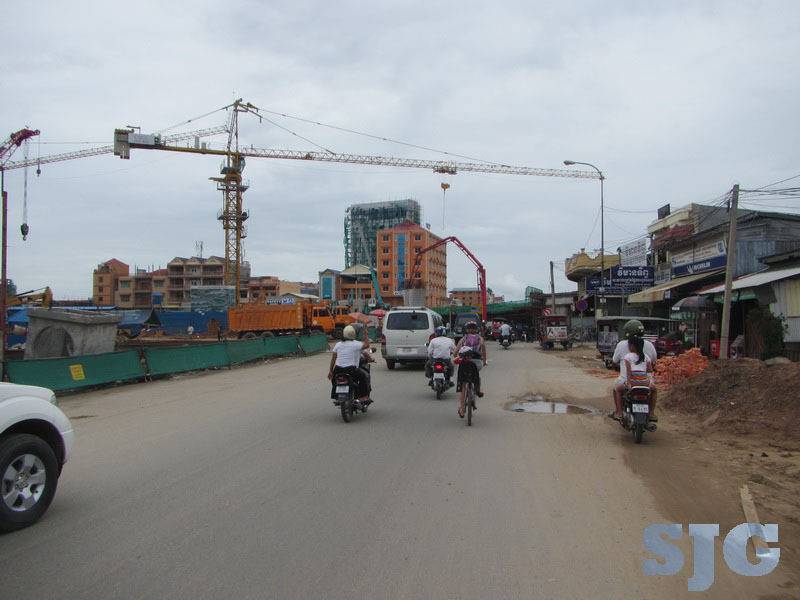 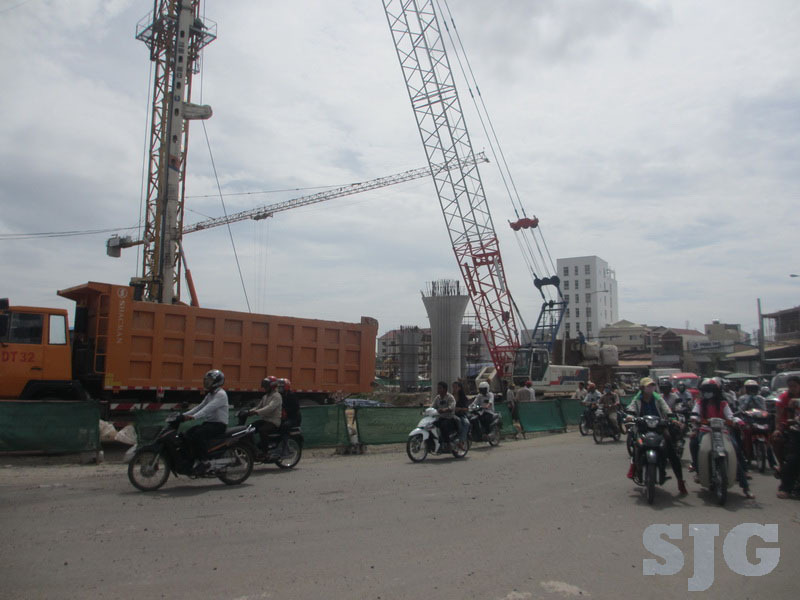 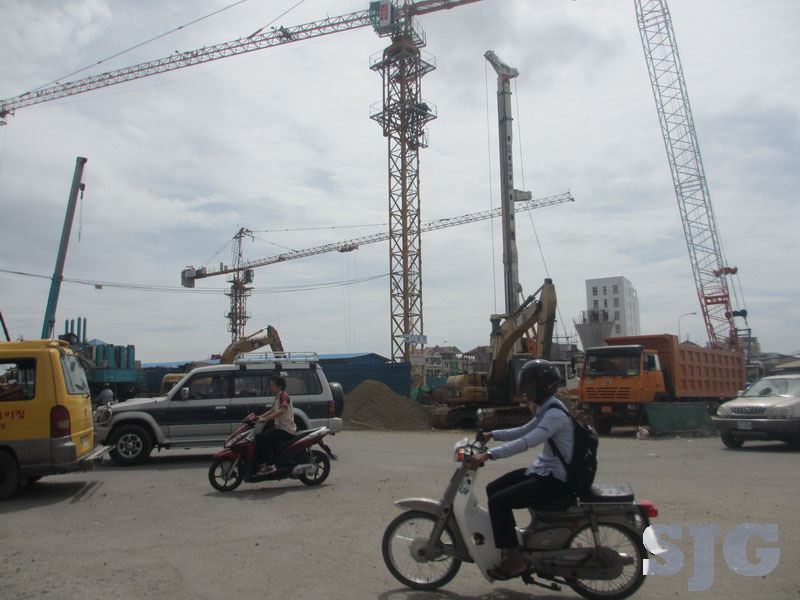 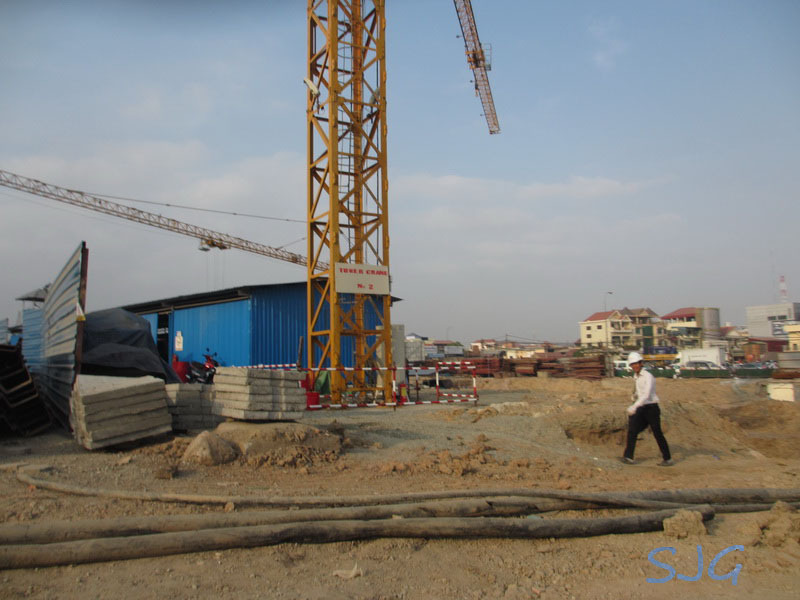 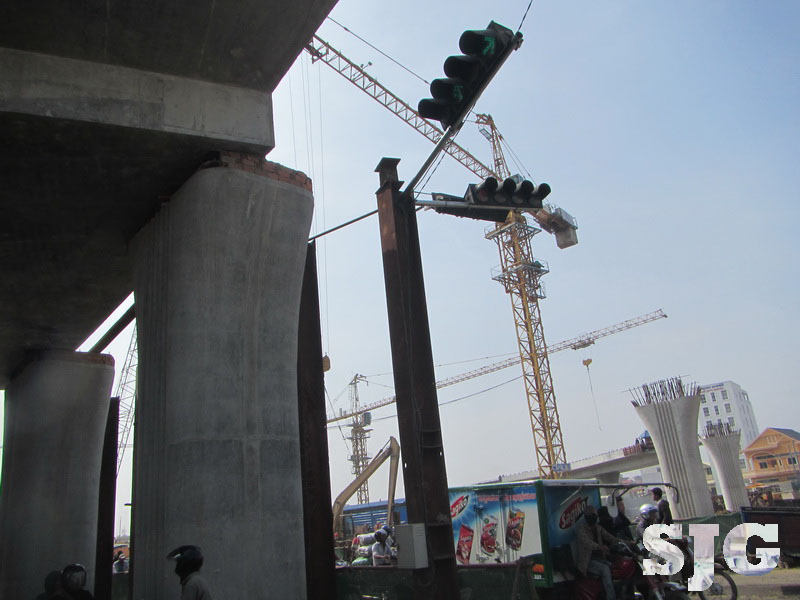 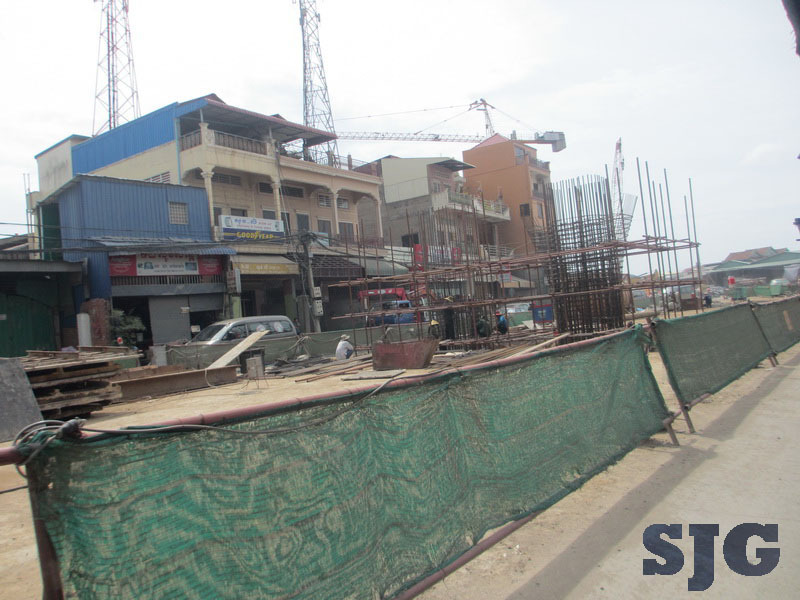 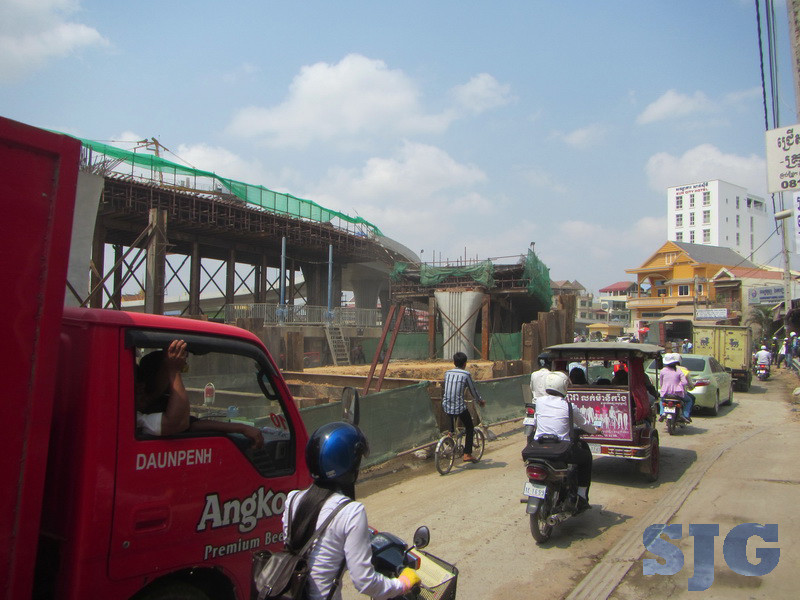 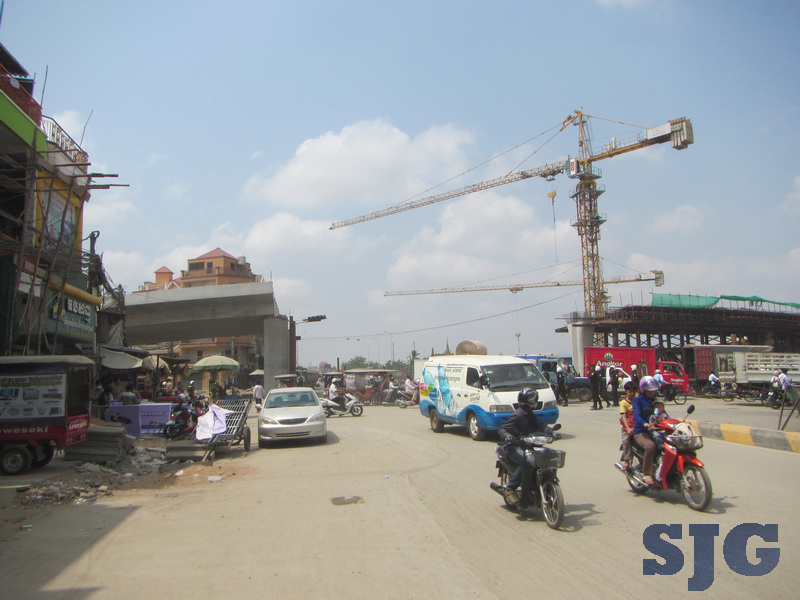 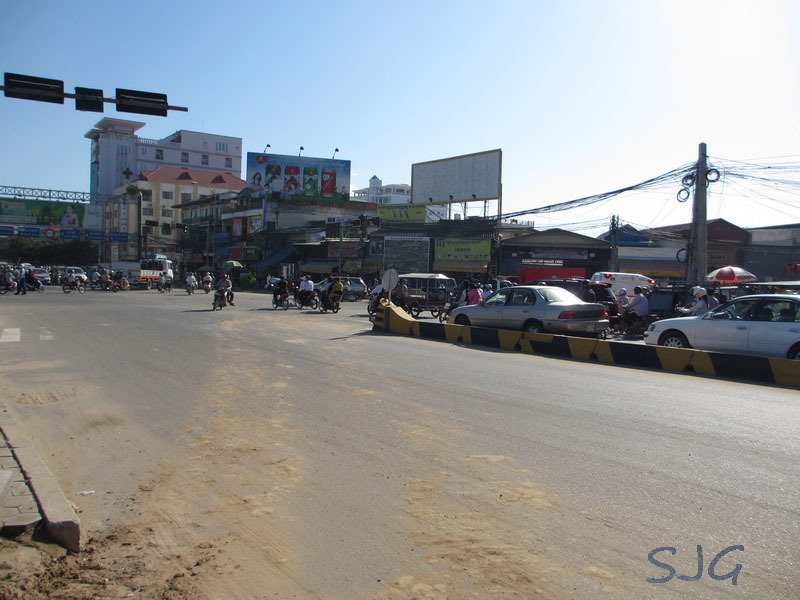 Full swing into action at Stung Meanchey intersection. 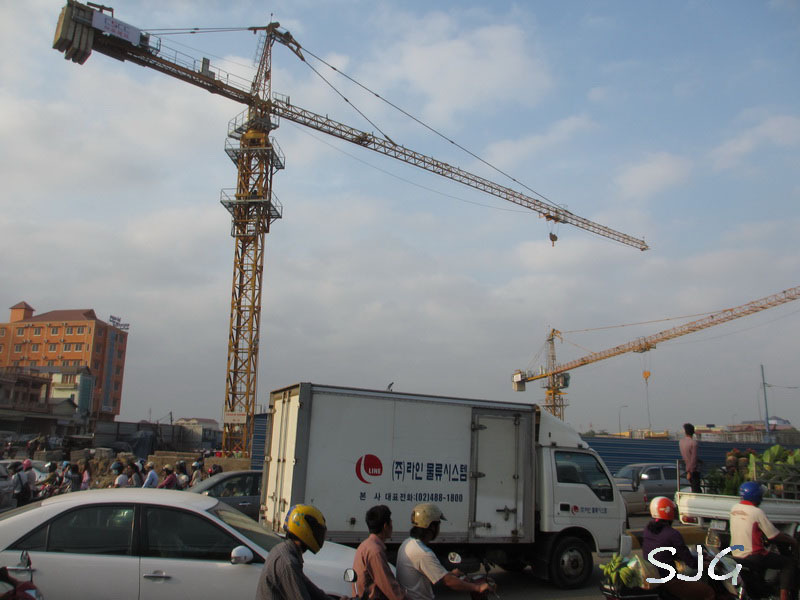 Huge cranes are up and things are progressing quickly. 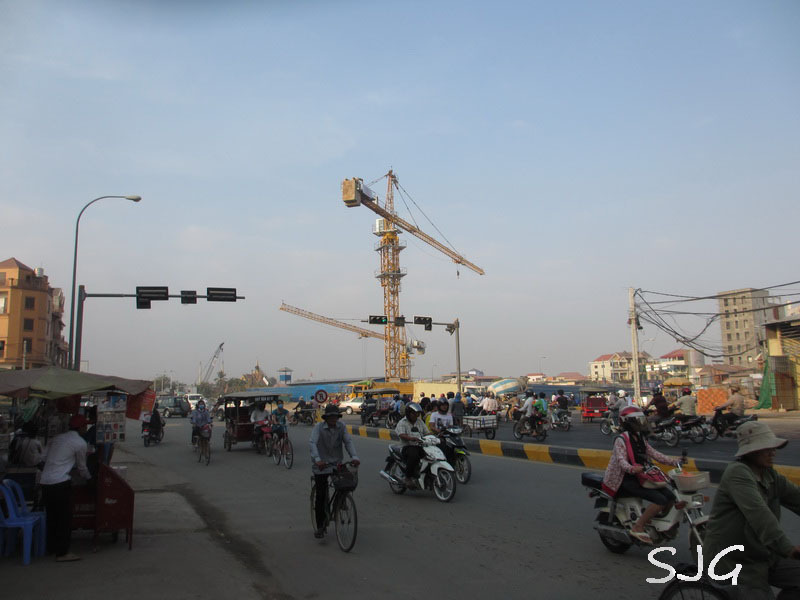 Looking south-west at the intersection from Monireth Blvd. 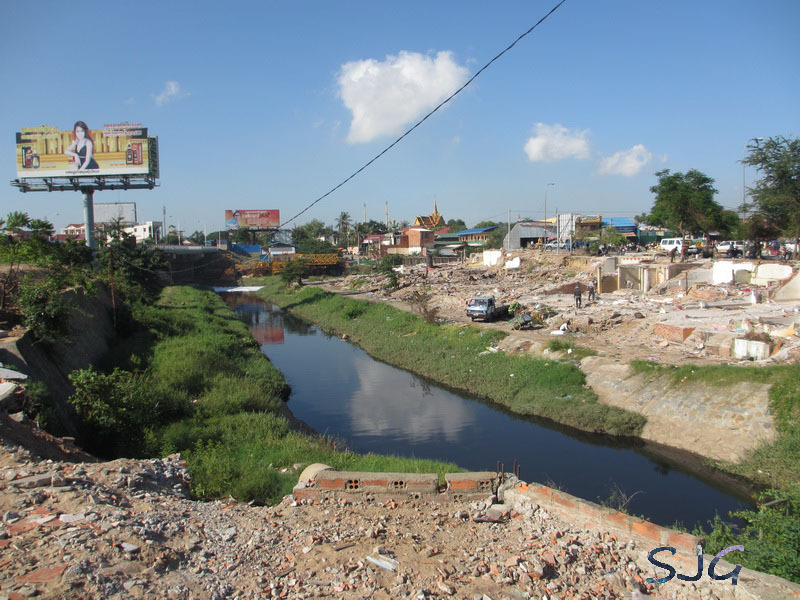 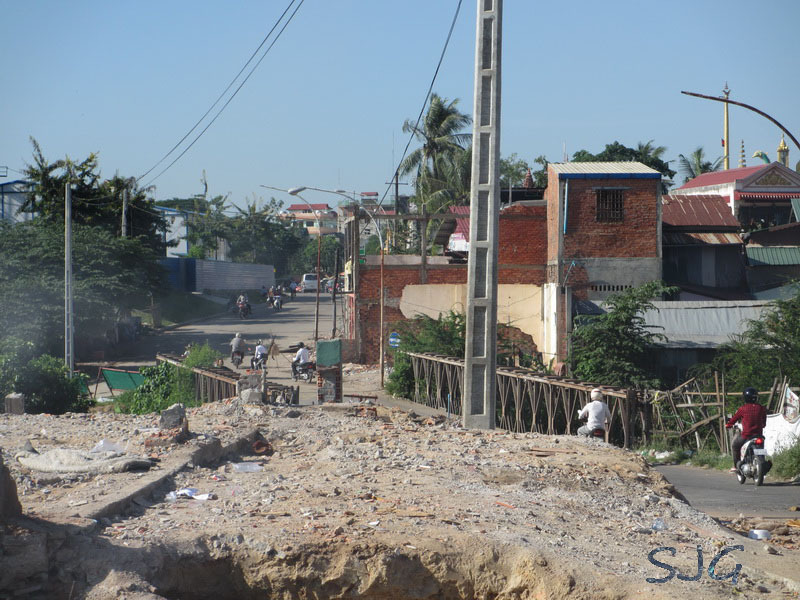 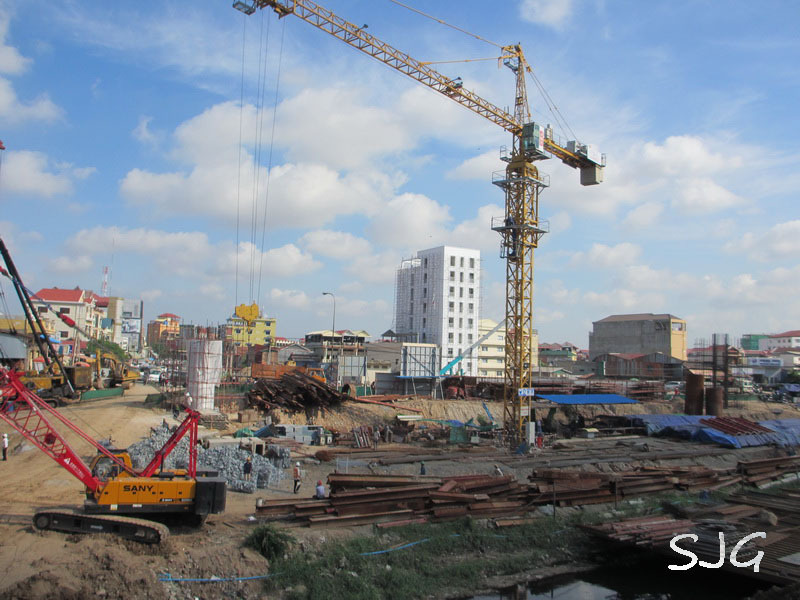 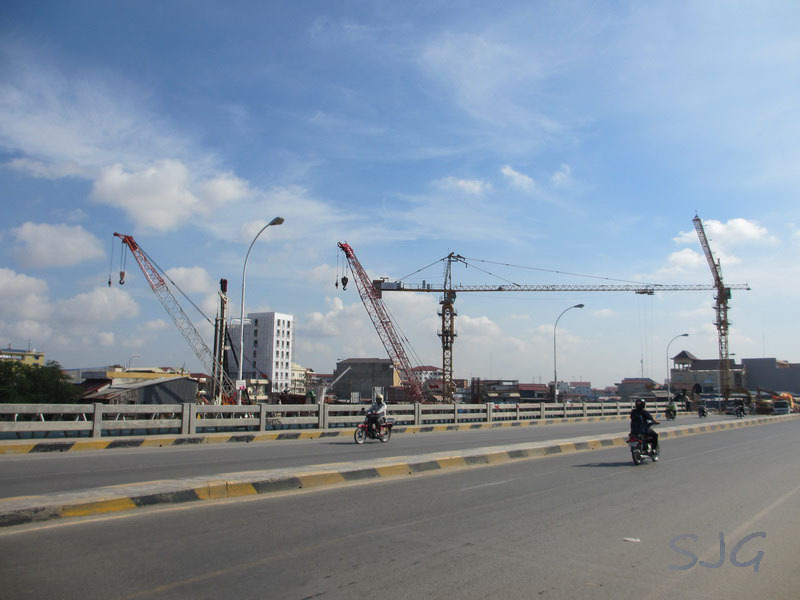 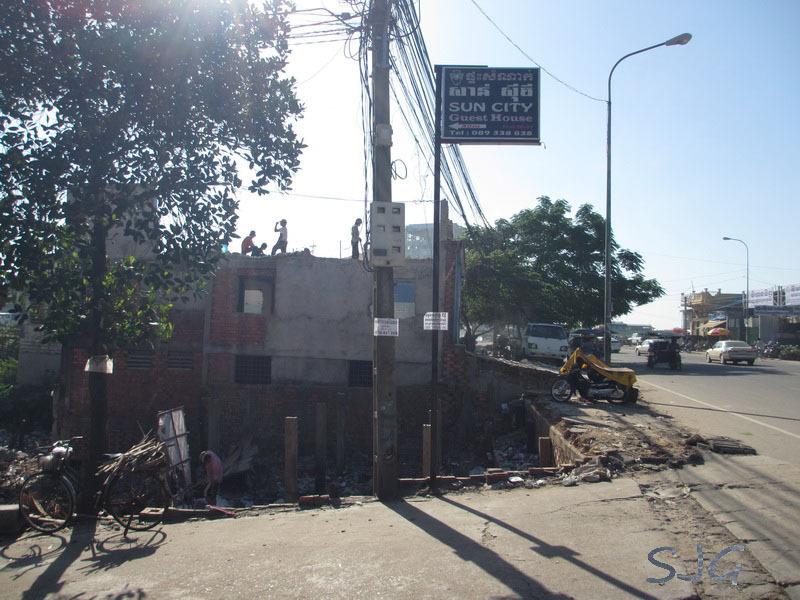 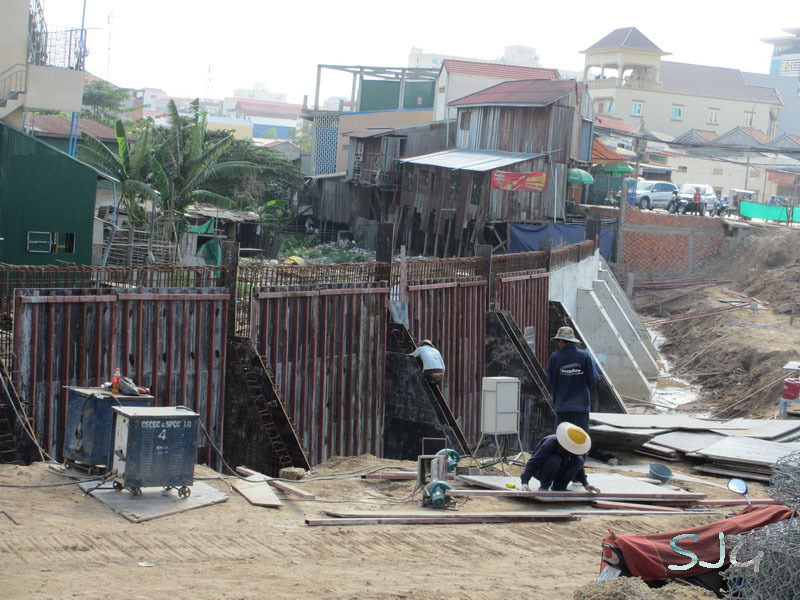 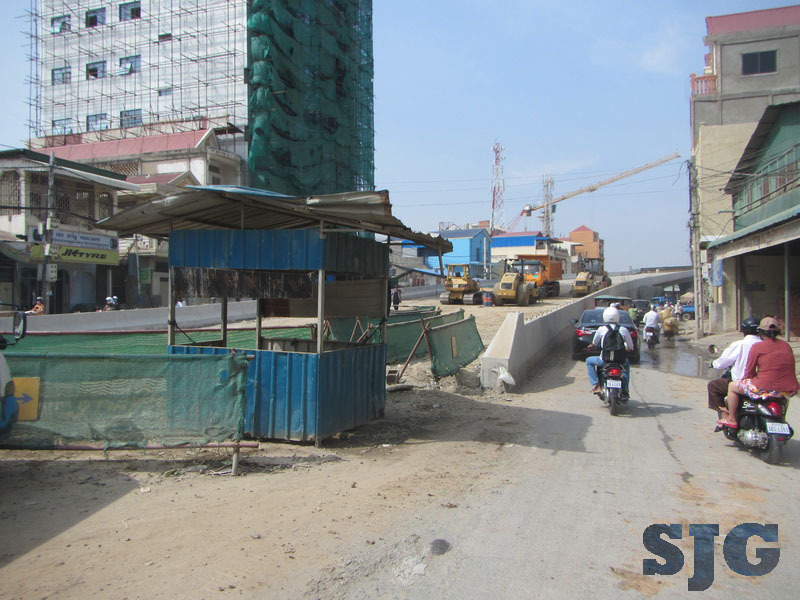 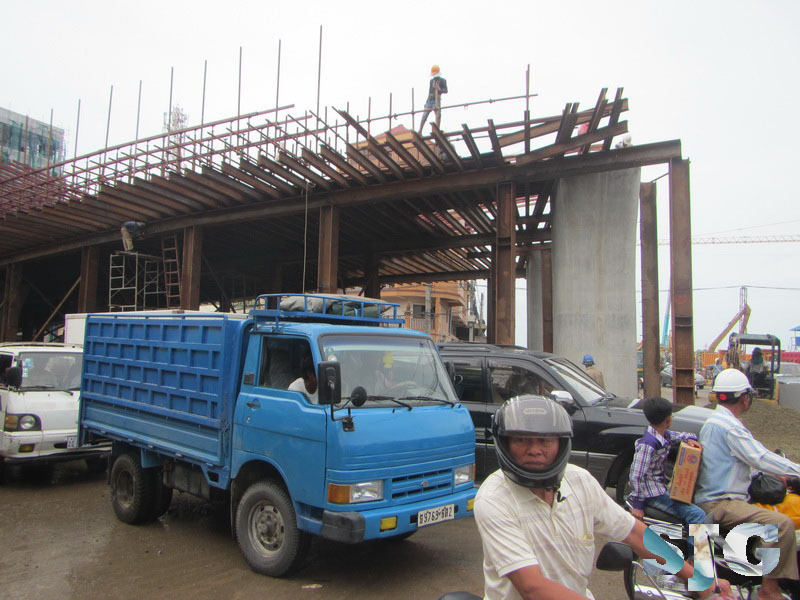 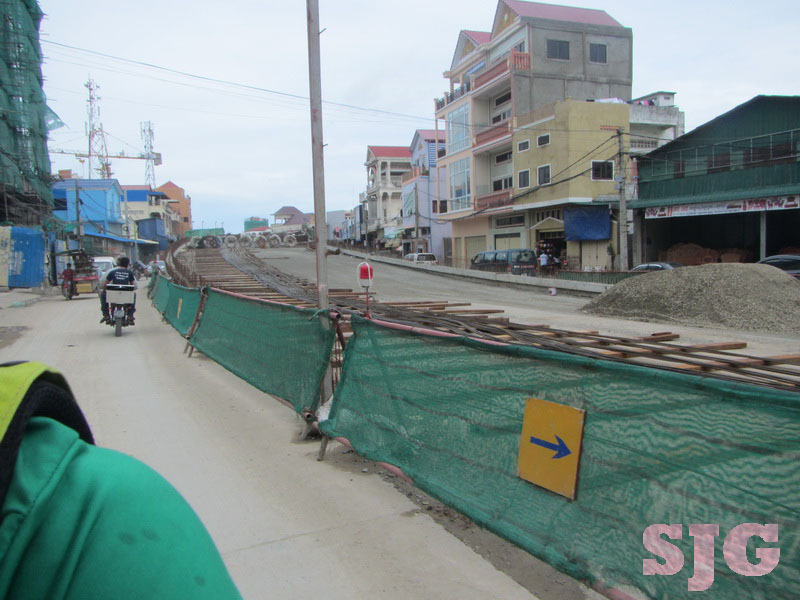 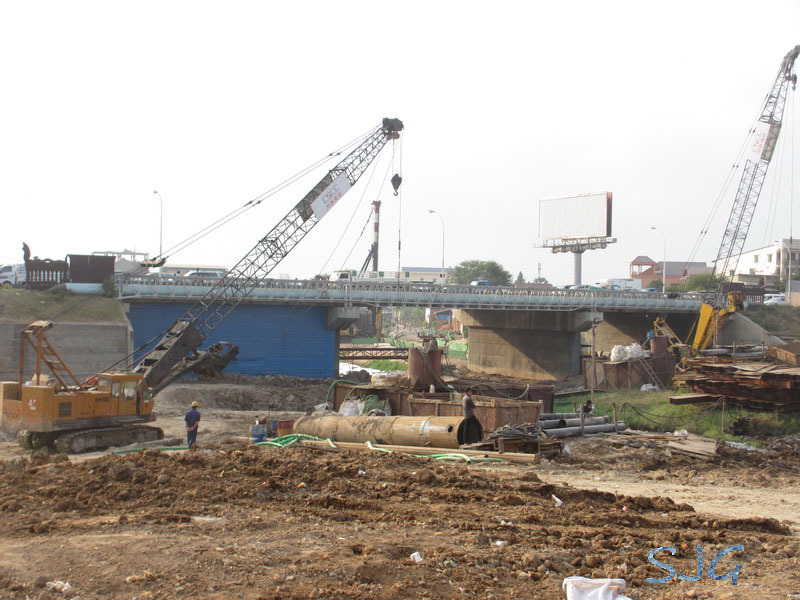 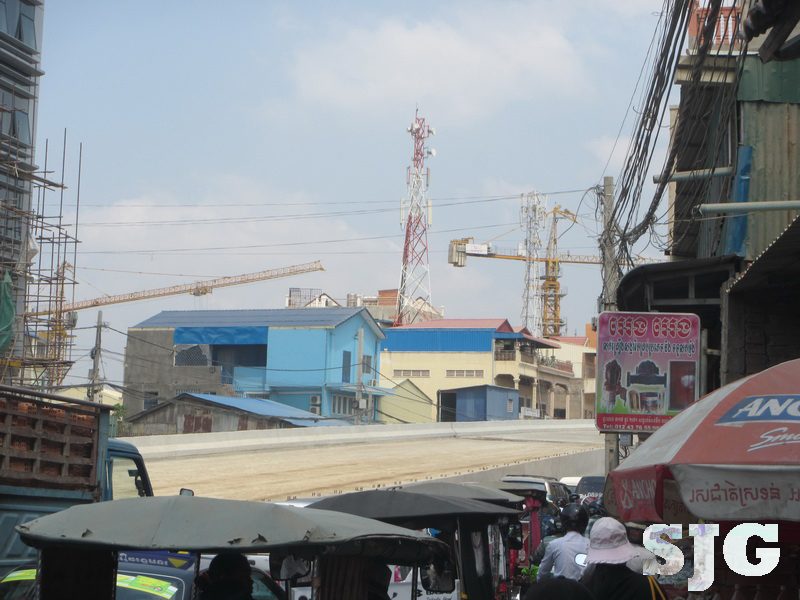 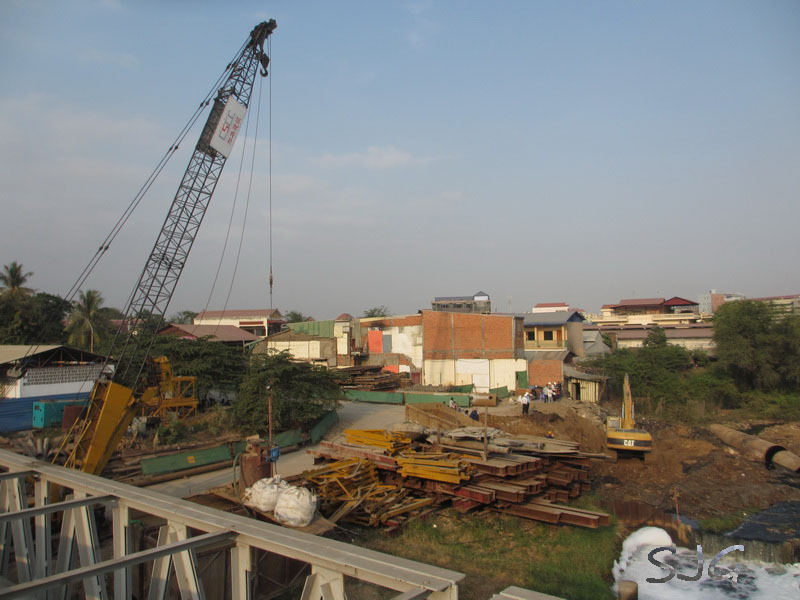 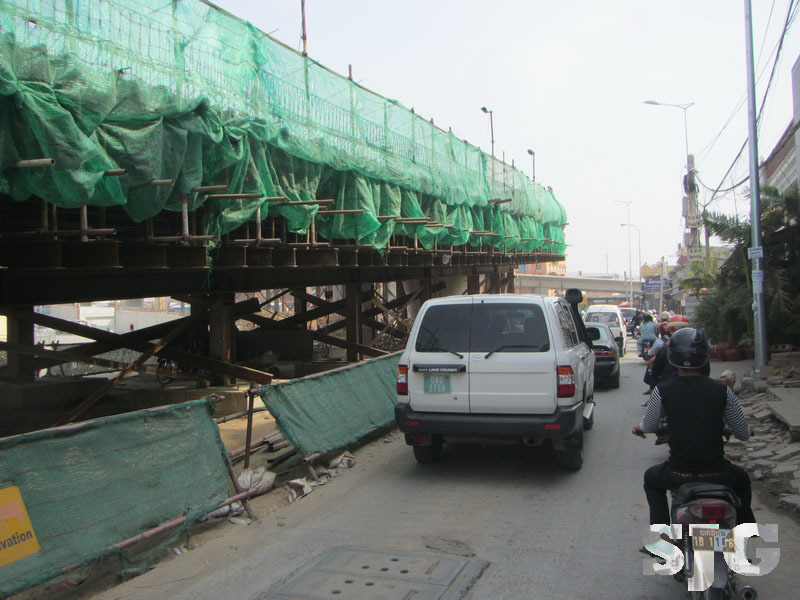 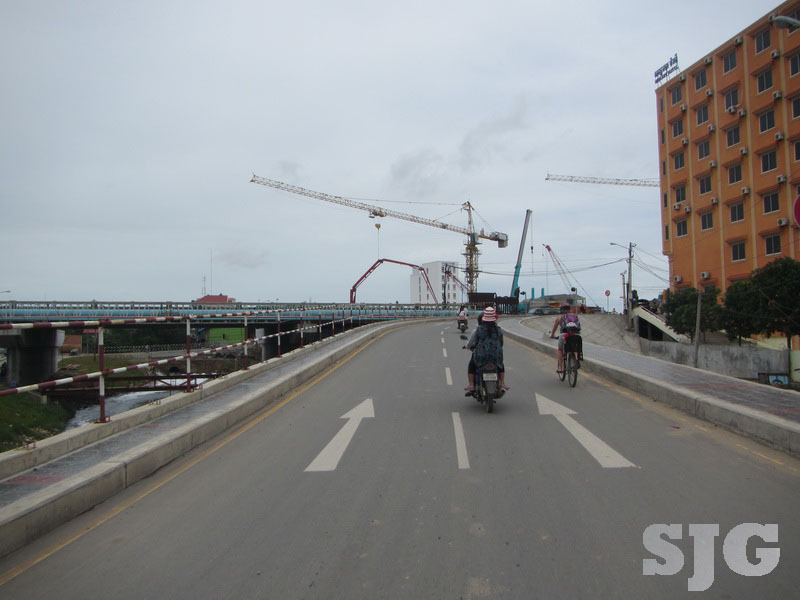 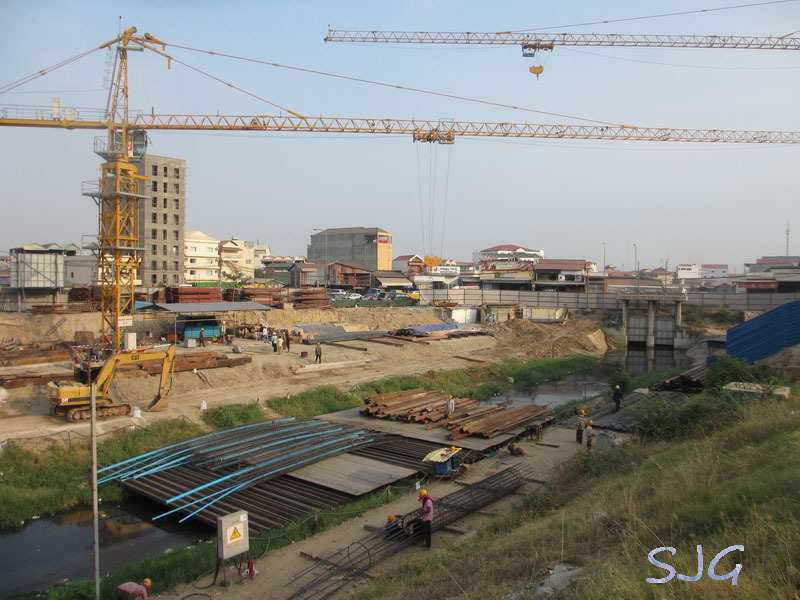 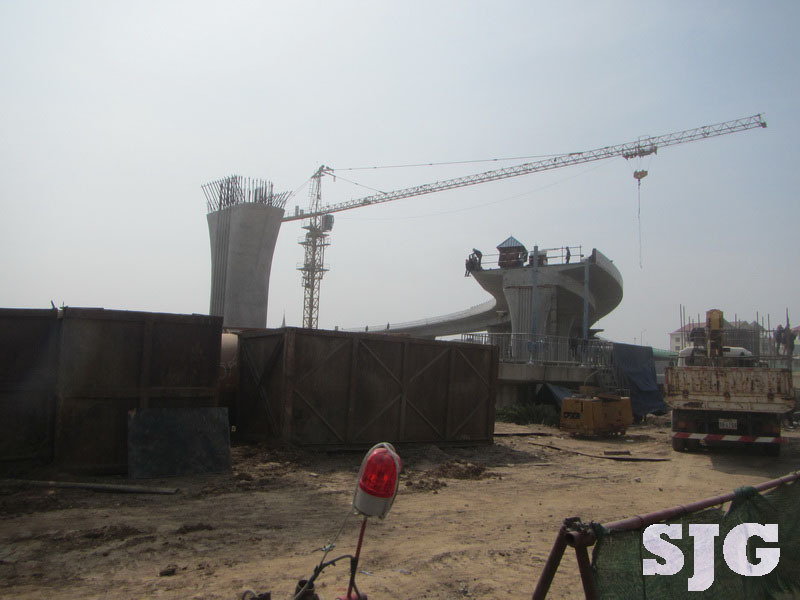 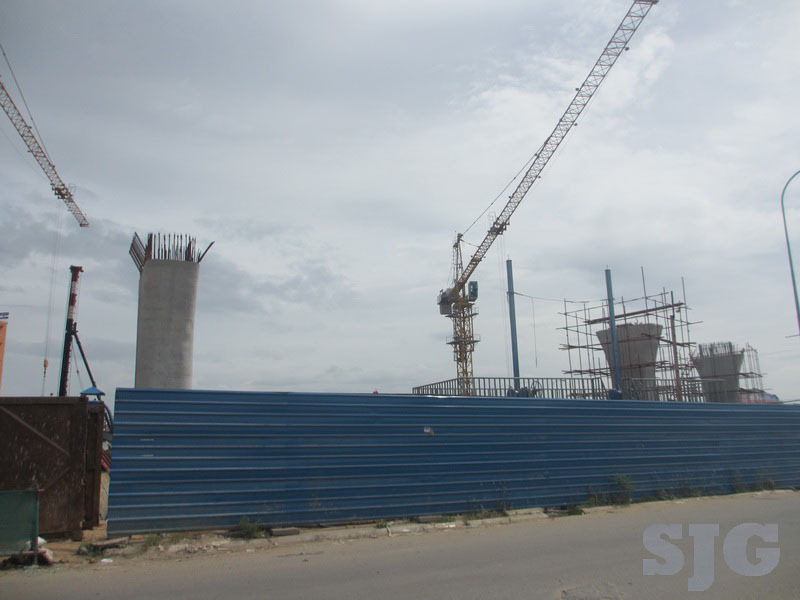 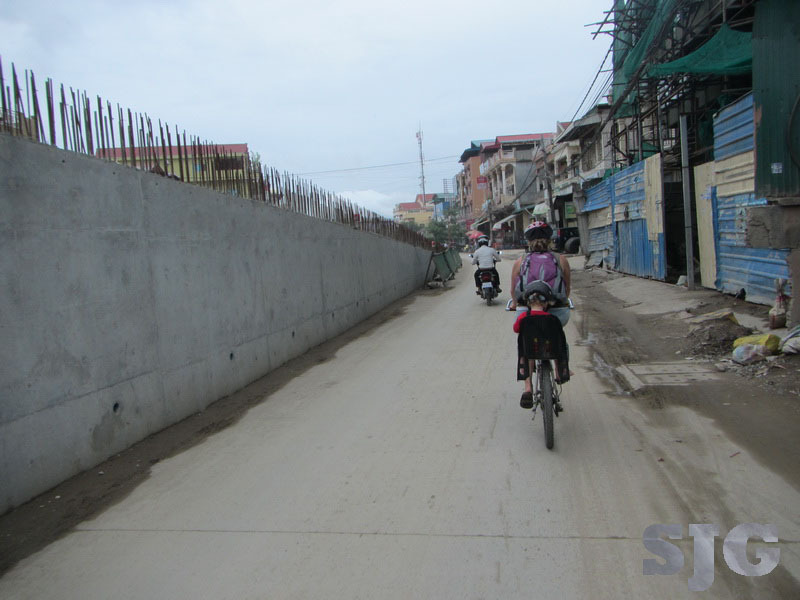 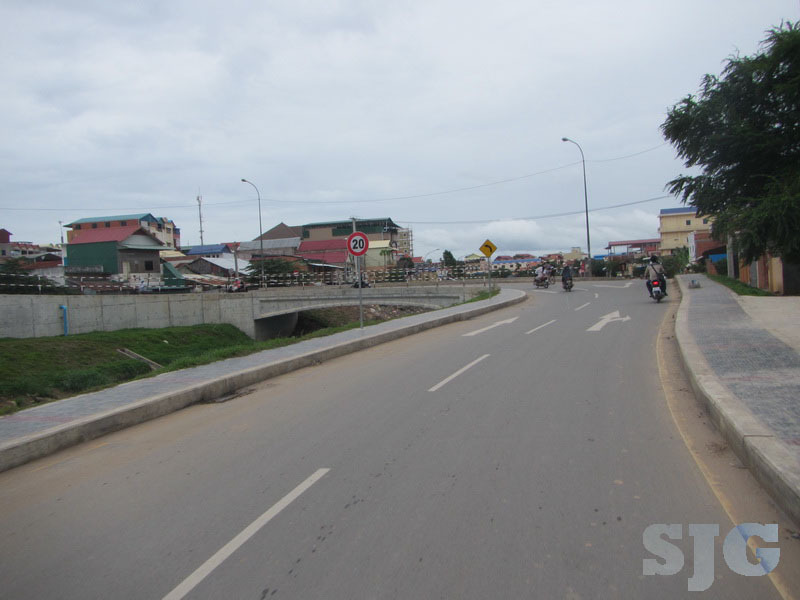 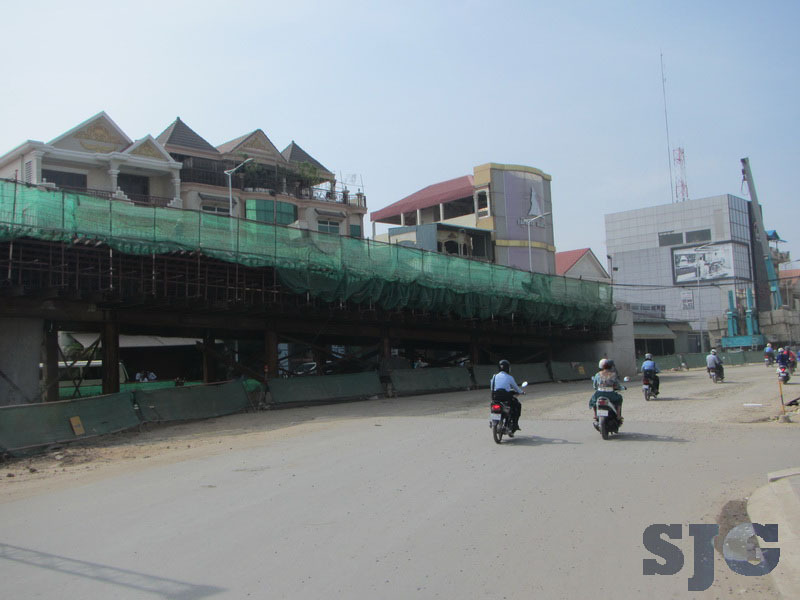 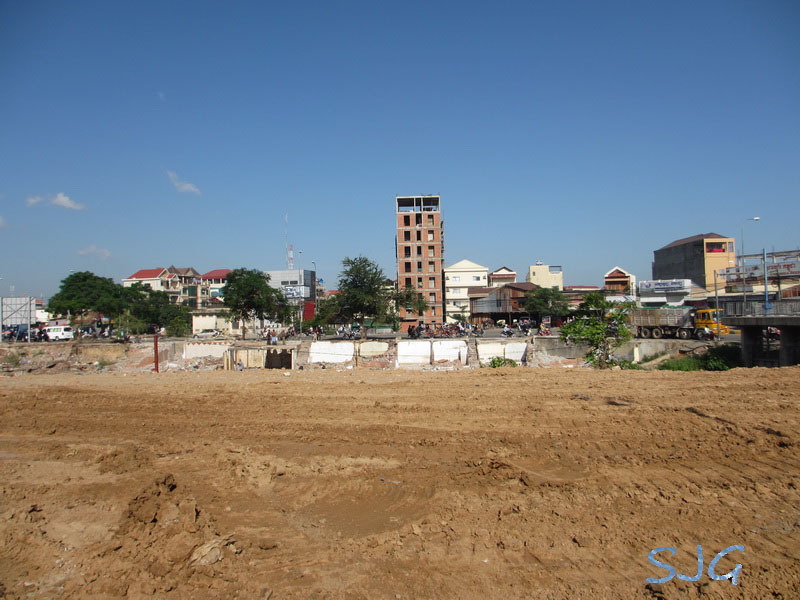 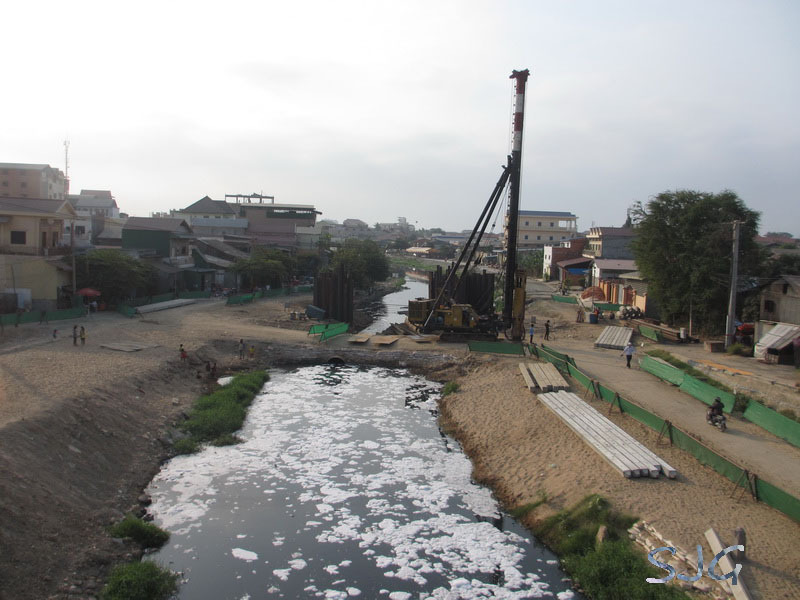 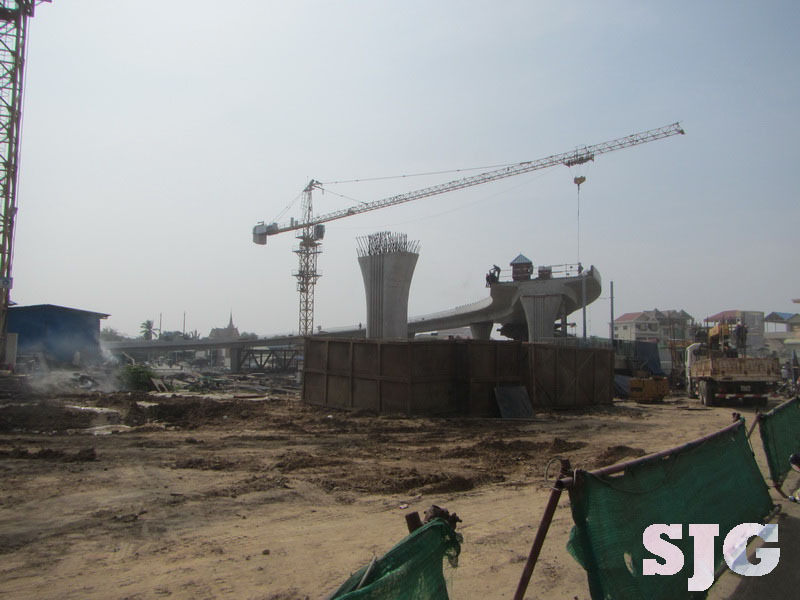 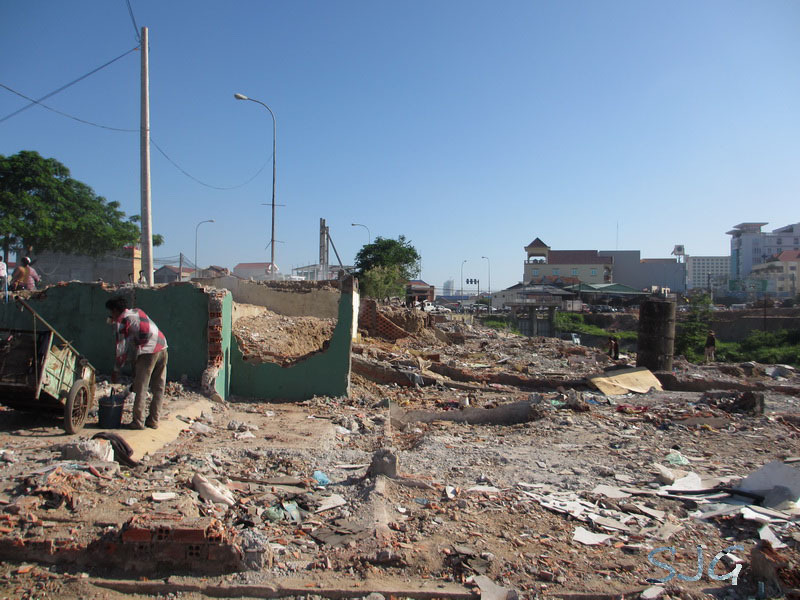 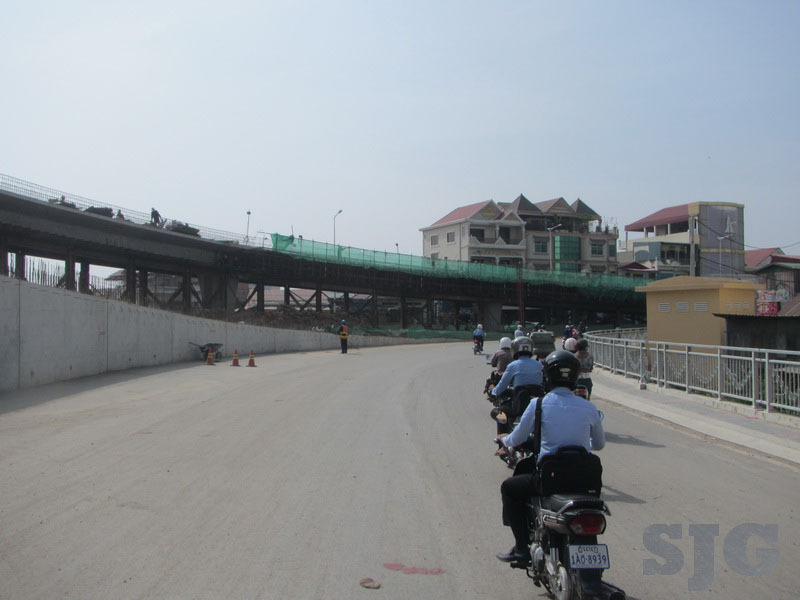 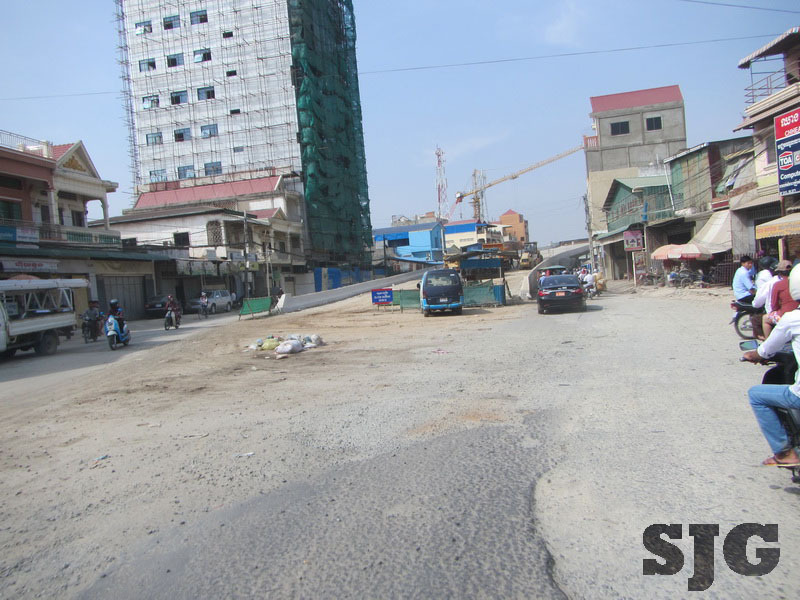 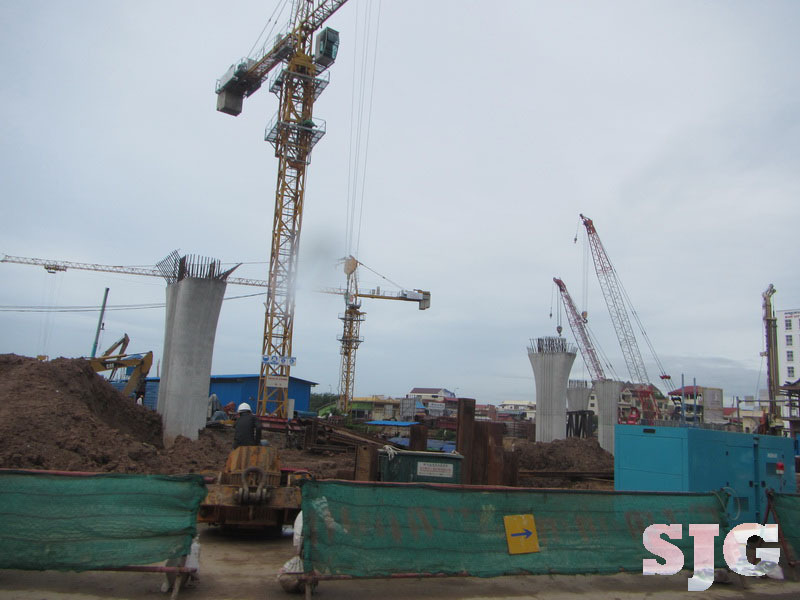 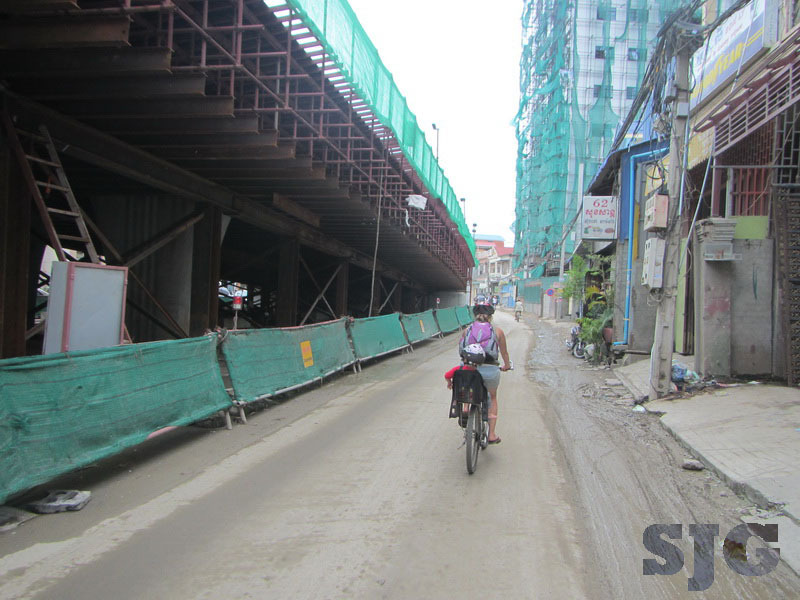 The Stung Meanchey Bridge is well under way, starting with a surprising amount of cleared buildings in just a couple weeks. 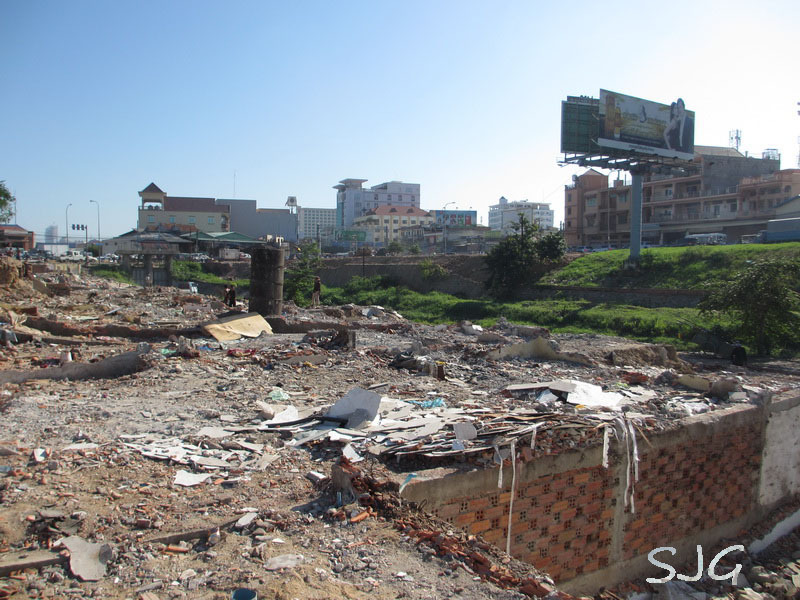 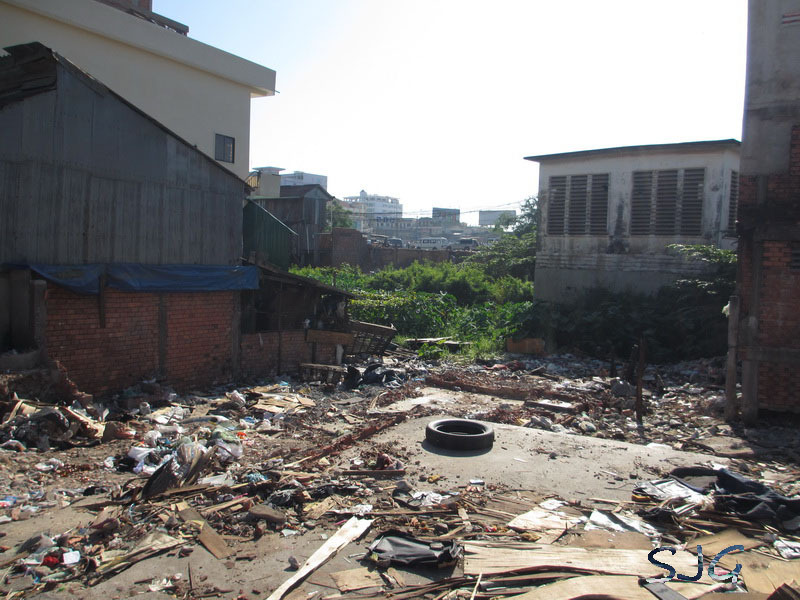 One day, everything was normal, and the next, you could see across a couple blocks where buildings used to be! 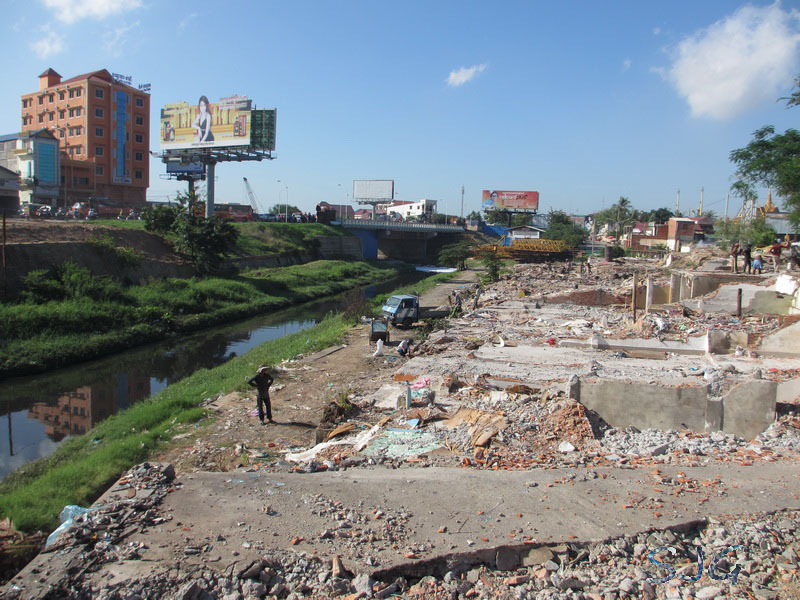 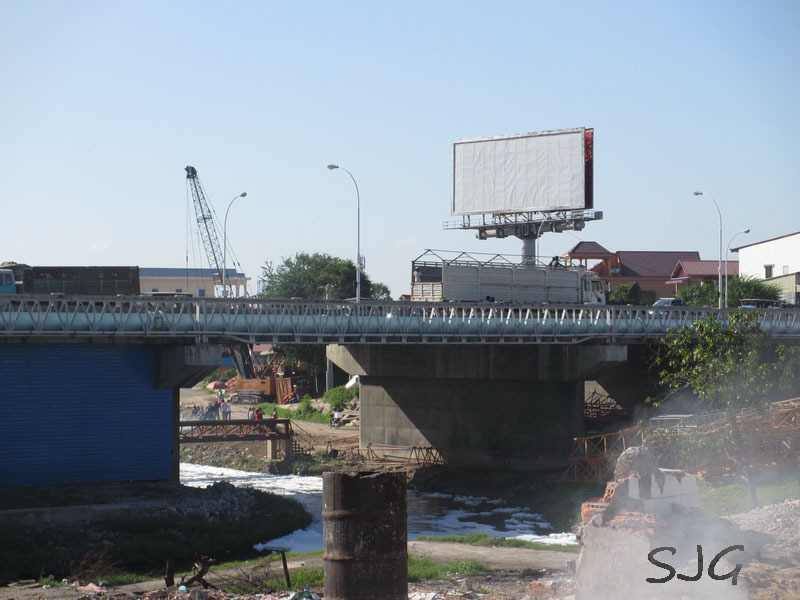 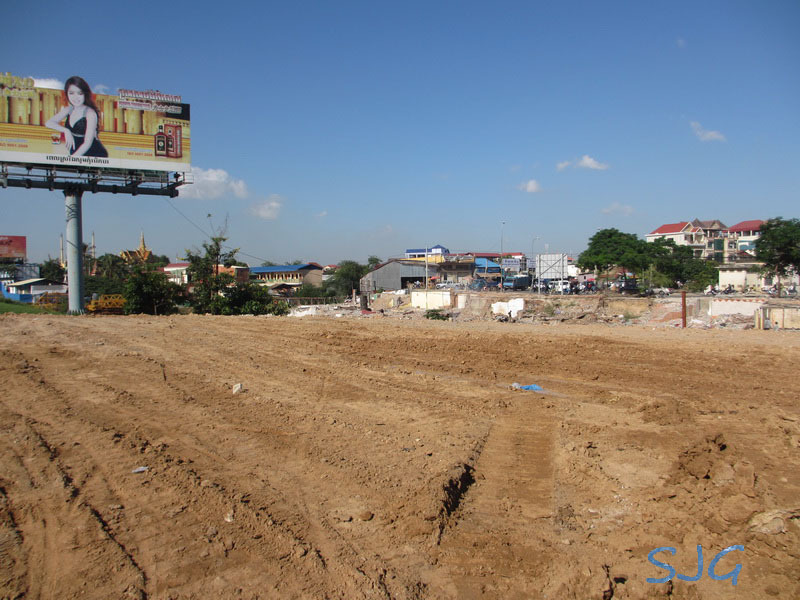 The project is not as intrusive as it appears at first glance toward the project billboard. 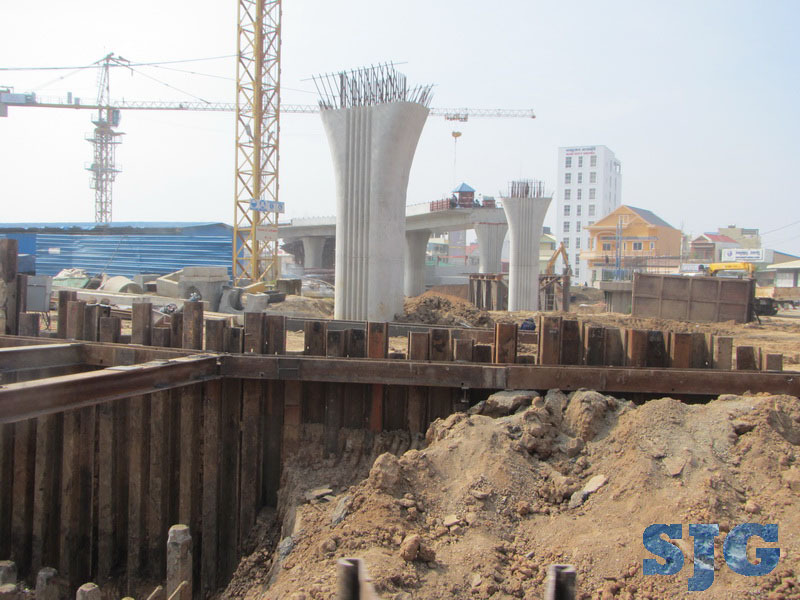 Some of the project exists already, like the connector towards #4. 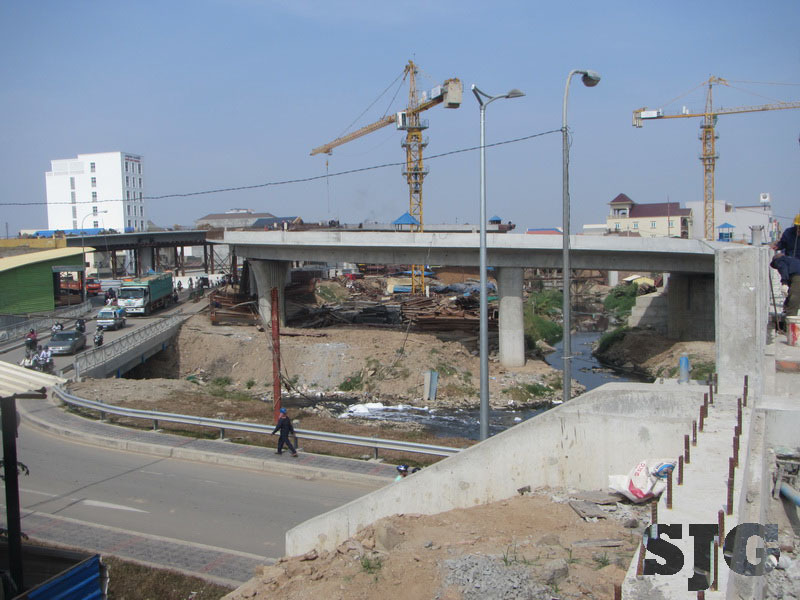 Most of the new flyovers go across #1 to #2 to #3 to #5. 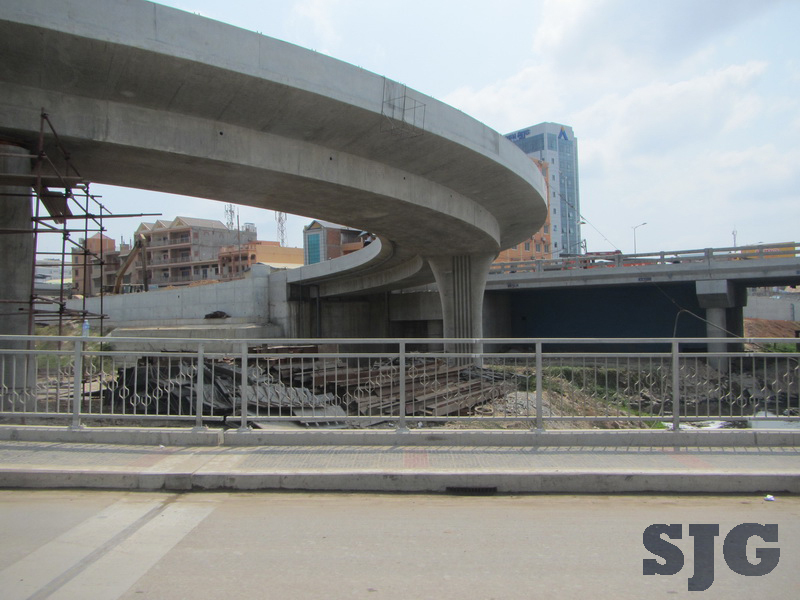 There will be a new onramp loop across the river at #7 and across #8. 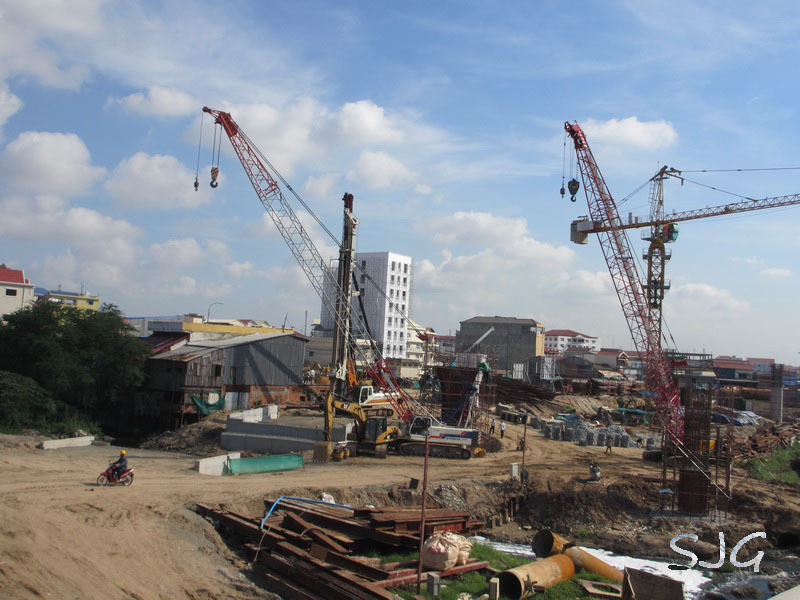 Buildings at #2, #3, #4, #5 and #6 are all in the process of getting knocked down.